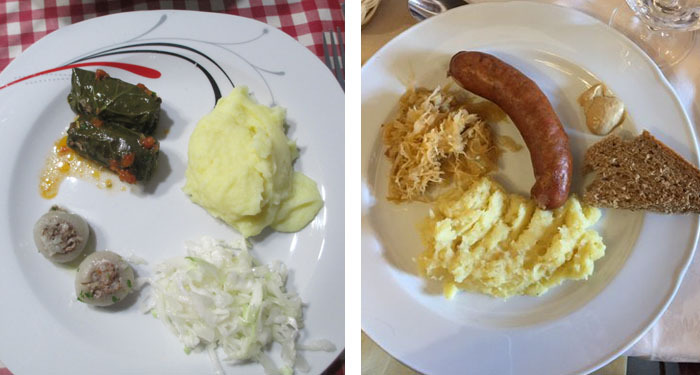 We did not have one bad meal on our tour which explains why I carried four more pounds home with me. We had lavish breakfast buffets in our hotels, we had home cooked food, we had food from small cafes as well as larger restaurants – all local cuisines. 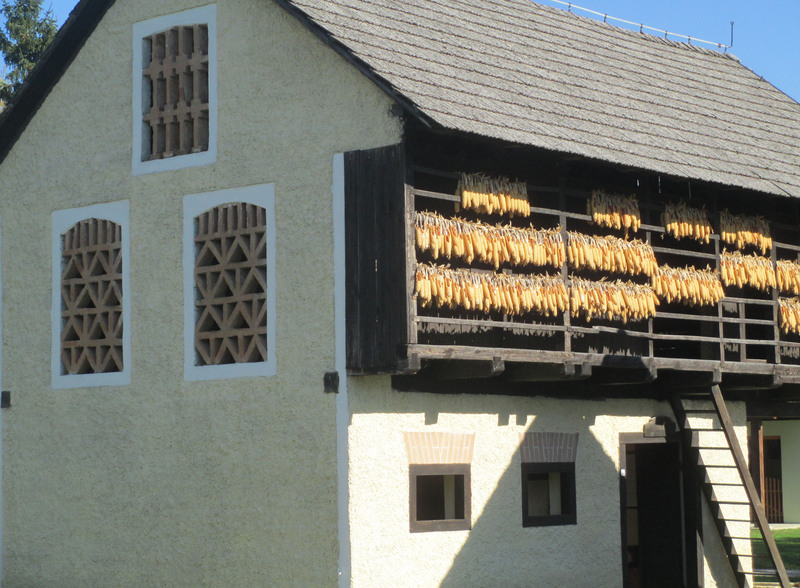 We ate on farms, in cities, and at road stops. All was yummy! We had soup as a starter with many lunches and dinners. My favorites were thick and creamy mushroom soups. We had fresh vegetable salads often served with a coleslaw. We had a variety of meat dishes that included sausages, meet stews, grilled fish and chicken. 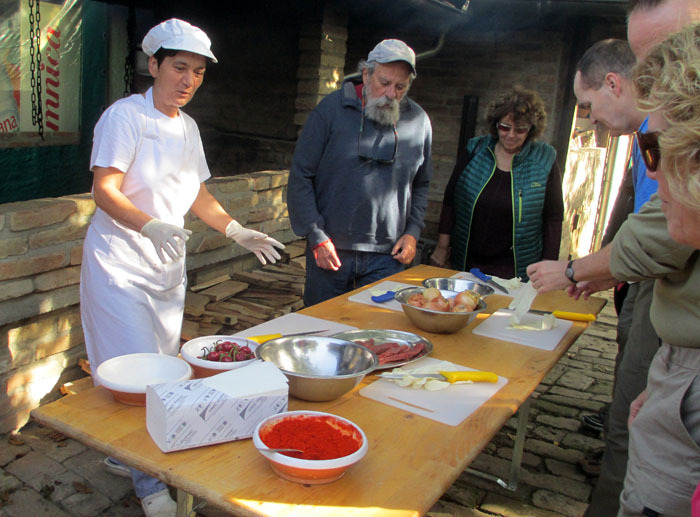 We had potatoes in various forms, picked veggies, and various sauces including ajvar, a red pepper and paprika relish. 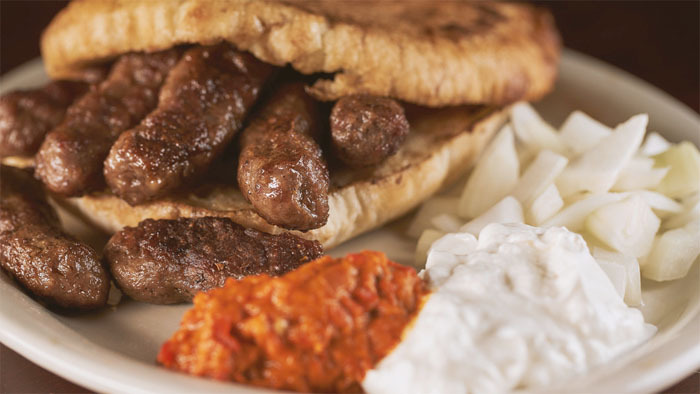 In Bosnia-Herzegovina, I especially liked Cevapi, a pita filled with lamb/beef sausages with chopped onion, sour cream, and ajvar. It was not that different from a gyro. 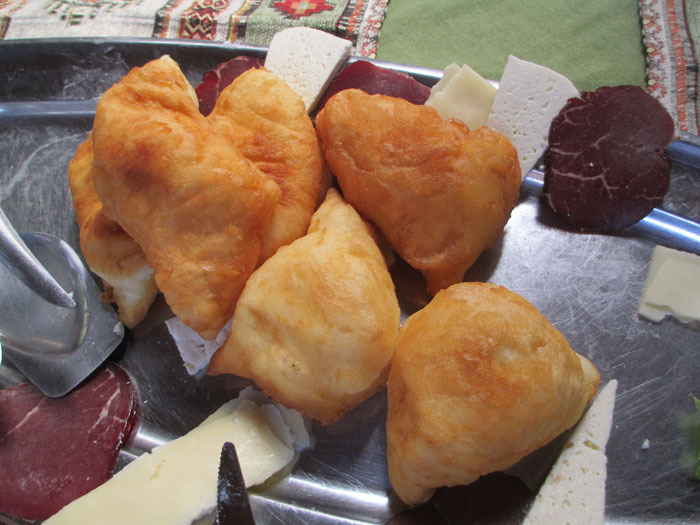 We also had a delicious snack which is made in different versions throughout the Balkans, berek, logs of phyllo dough filled with various stuffings including cottage cheese and feta, spinach, zucchini, etc., and some served with sweet fillings and some served at breakfast. 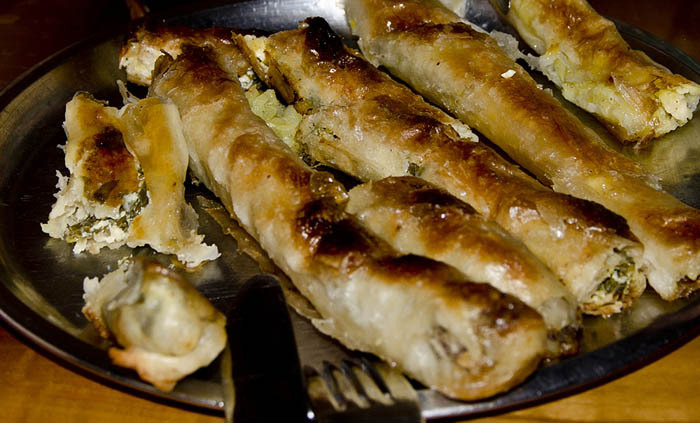 There are shops that only sell berek. 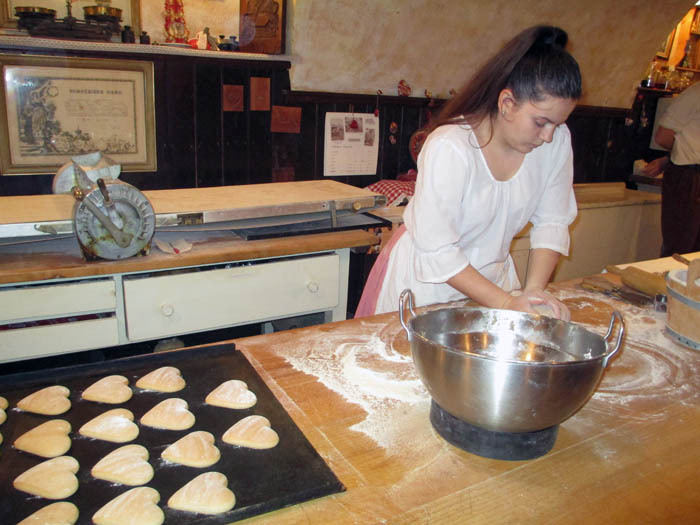 On the left is a thick pasta dish made with potatoes – like gnocchi. 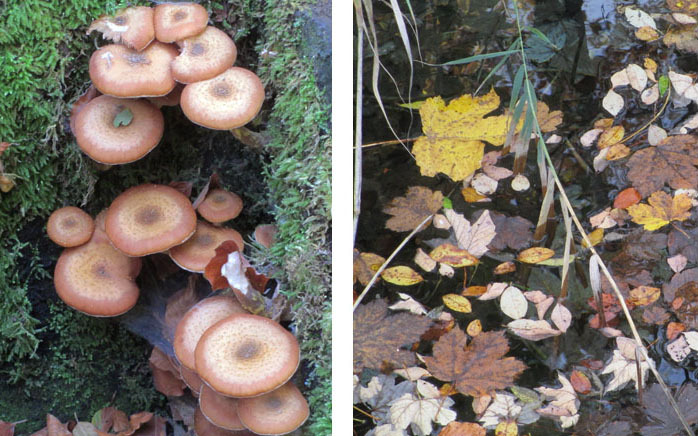 On the right is a stew. 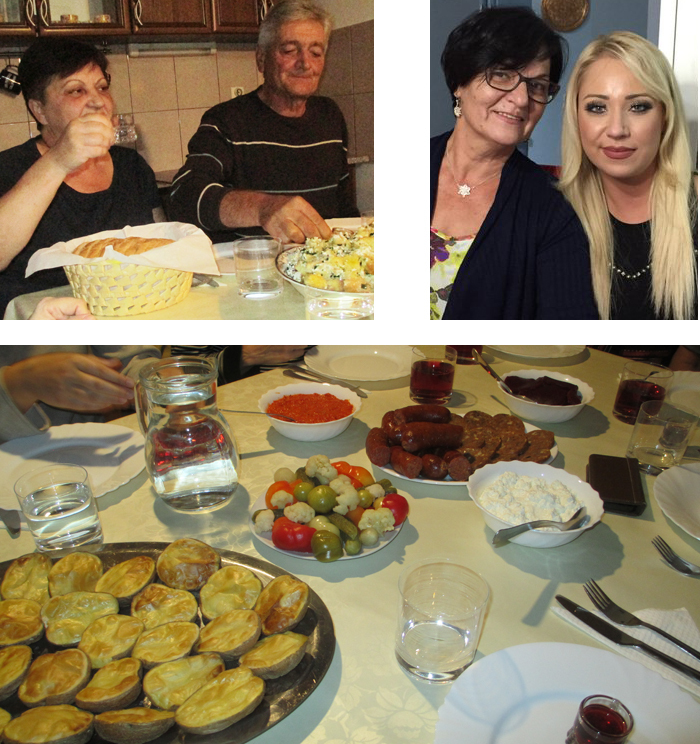 We had home hosted meals where the tables were laden with wonderful home cooked dishes. We all liked the fried bread. It reminded me of Portuguese fried dough, but not sweet and much lighter. 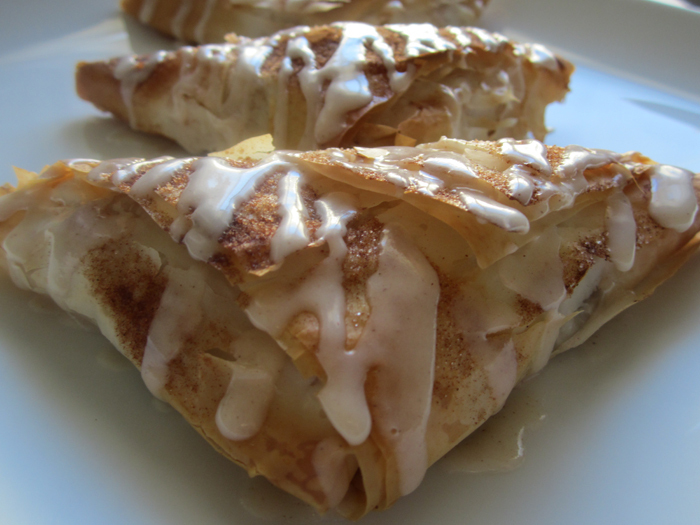 Desserts included phyllo pastries like this apple turnover. 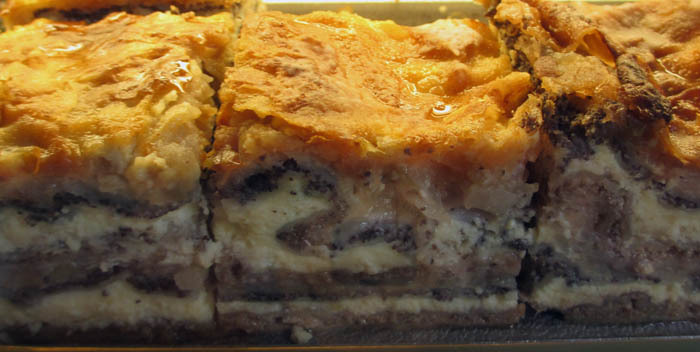 Cakes were often multiple layers. This one had custard, poppy seeds, apples, cake, and nuts! On the left was a dry crumble of chocolate and nuts moistened with whipped cream. On the right were jam filled cookies. 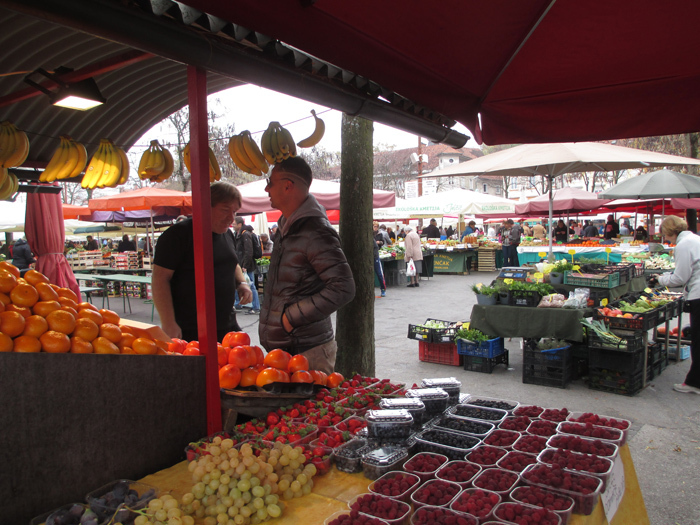 We visited food markets with gorgeous produce. 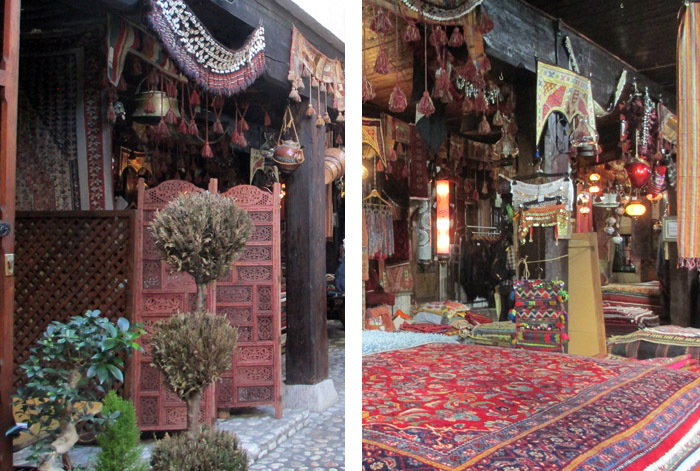 This one was in the center of Sarajevo across from our hotel. 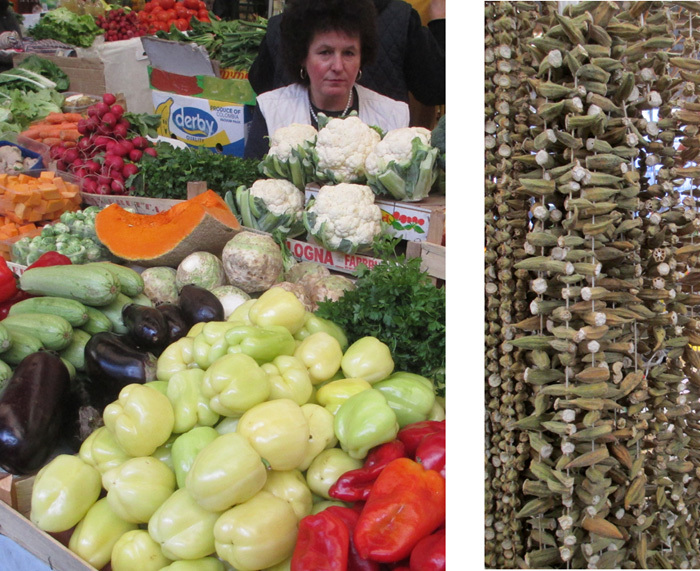 On the right are strings of dried okra that are used in soups and stews. 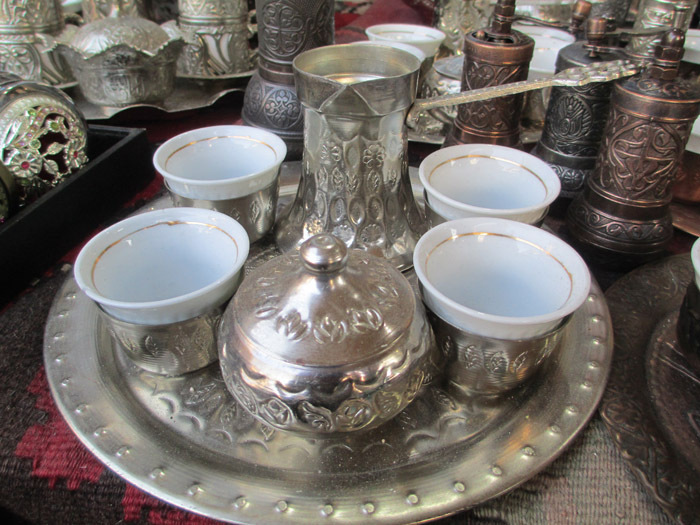 As for shopping for items unique to the region, silver coffee sets appeared to be popular. 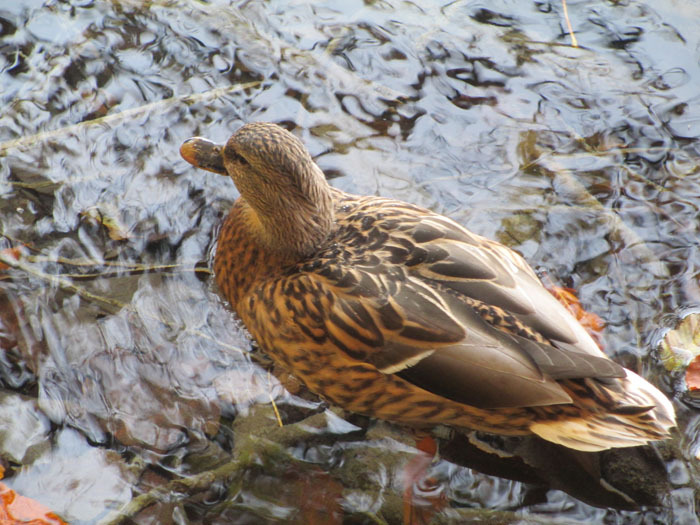 I shopped only with my camera! 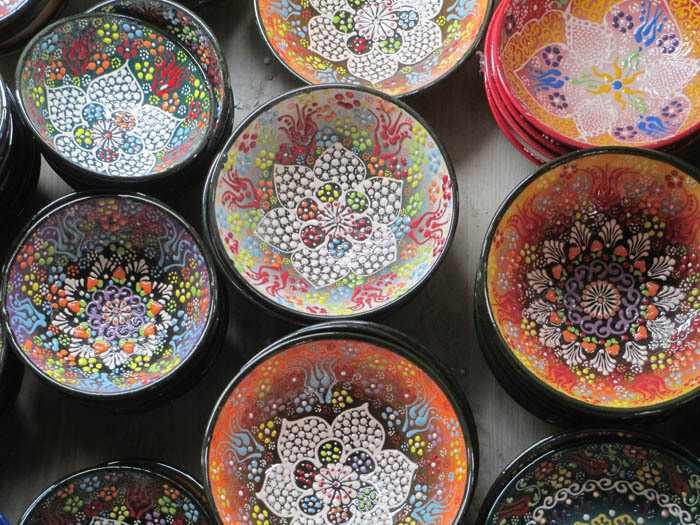 These ceramics that I saw in Montenegro caught my eye. 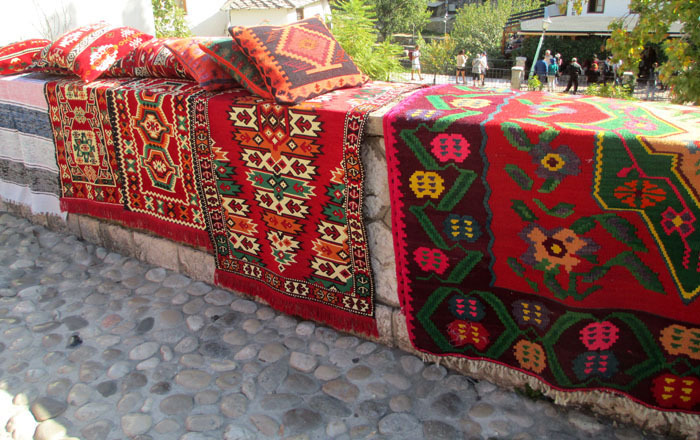 In Mostar, Turkish rugs and lamps were displayed on the street and in shops. 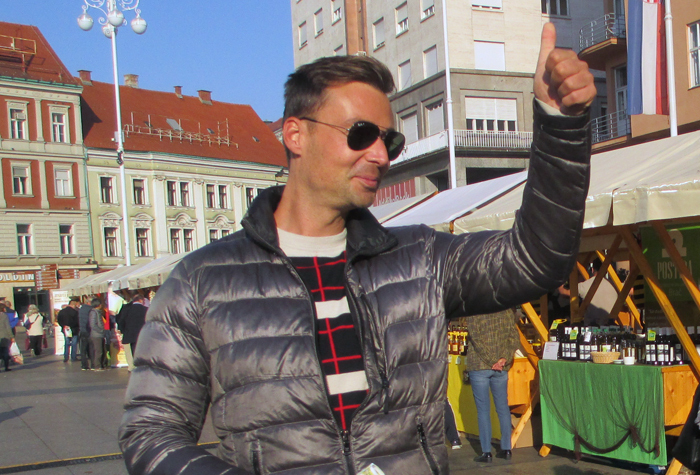 Throughout the tour we had a very professional, organized, knowledgeable, charming, and witty guide, Damir. He opened my eyes to a wonderful region of the world with a long history and rich traditions and prospects for a prosperous future. 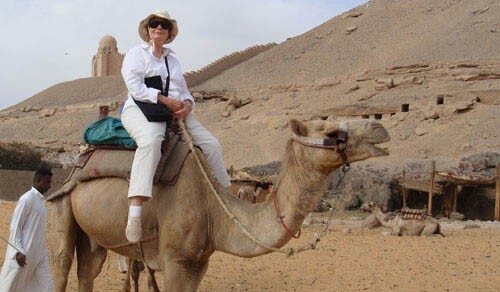 I also enjoyed the company of 15 other travelers in the group. All were interesting, widely traveled, easy going, and on time! 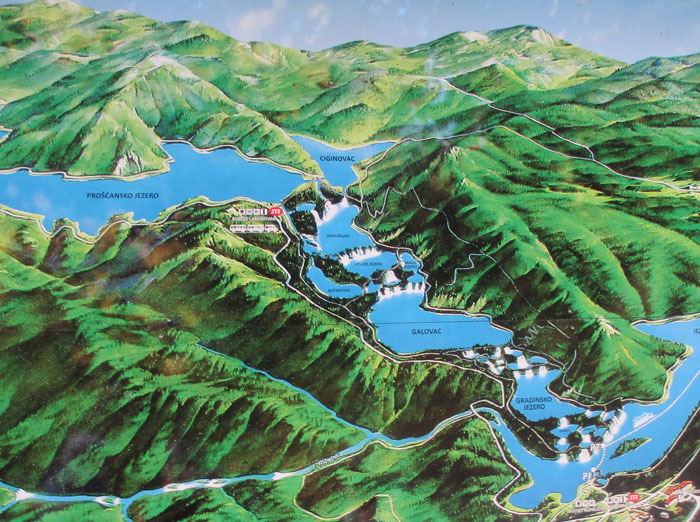 I’m planning my next trip for the spring. Wait and see where I go this time! This entry was posted in Adriatic on November 12, 2017 by JWH. 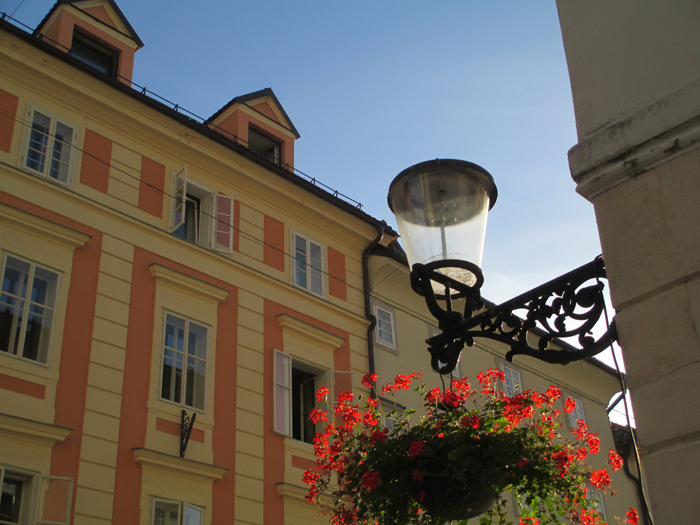 Ljubljana is a delightful city! Below is the very center which is a round plaza with streets radiating out from it. From the center outward for two or three blocks, vehicles are prohibited. 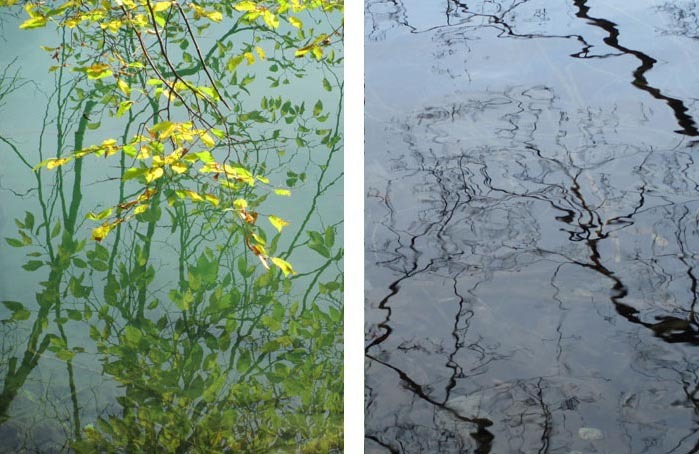 So, it is a pleasure to wander around on foot taking it all in. 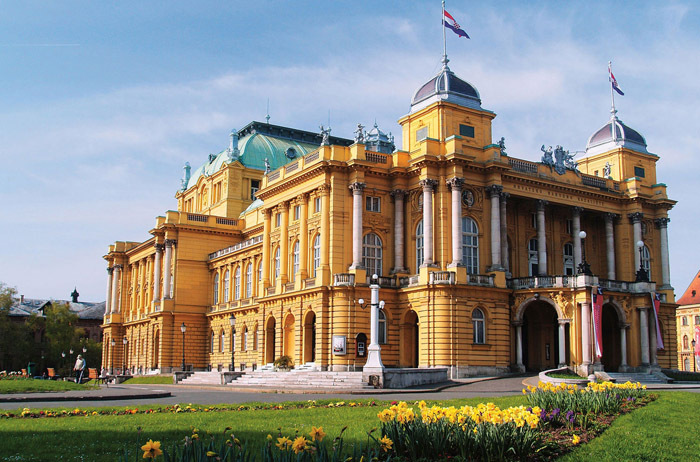 As with other regions, during the rule of the Austro-Hungarians, grand and elegant buildings were erected. And today there are some interesting new buildings as well. 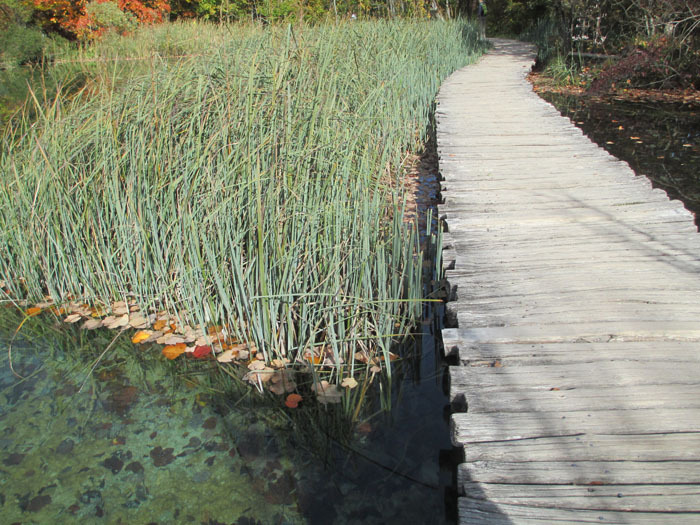 A river runs through the city and many quaint pedestrian bridges span it. 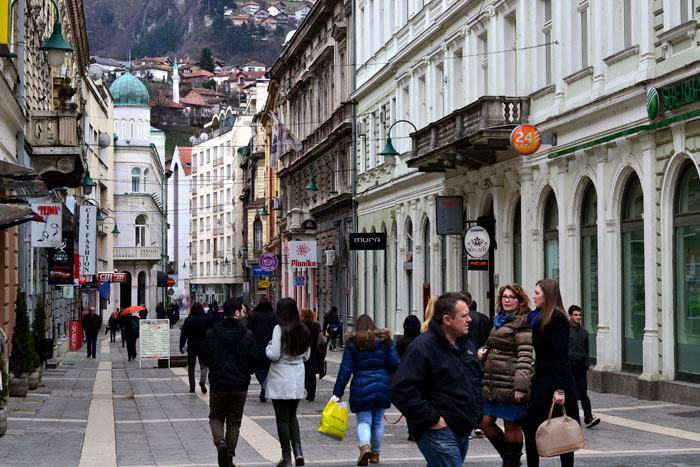 The city reeks of old-world charm with narrow streets, parks, and cobblestone pavements, cafes, designer shops, galleries, and lots of young vibes from the many university students. 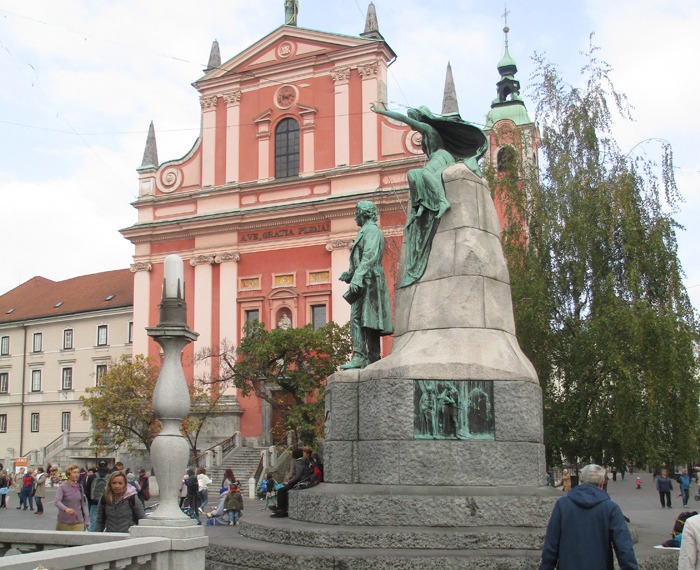 This is the central plaza with a monument to a Slovenian poet. 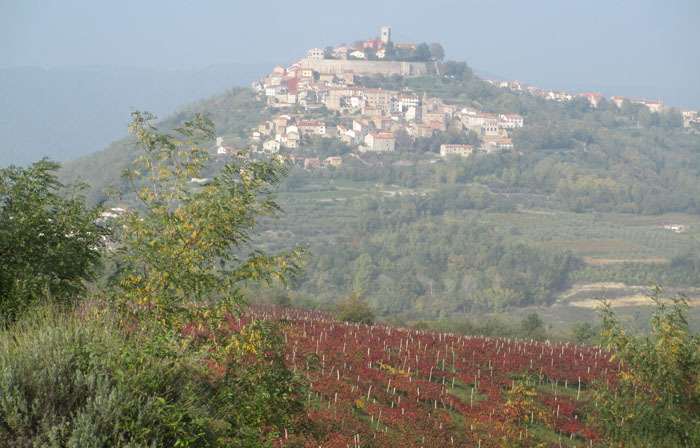 This is the old castle on the hill above the city. Our luxury hotel was a block from the plaza – great location! 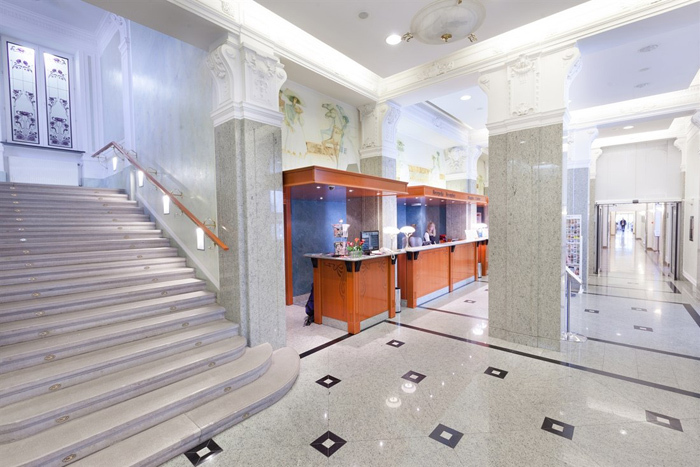 It was a modernized grand building designed in a modern take on Art Nouveau. This is the lobby. In all the corridors of the hotel, original art was displayed! 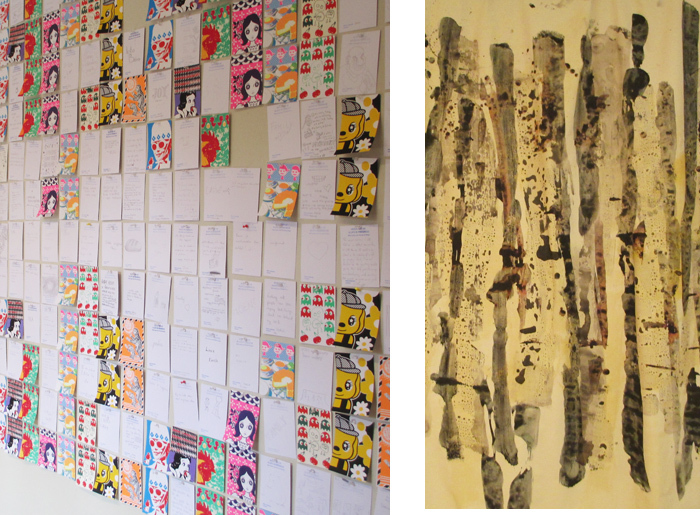 Charlotte and I walked up and down the hallways, one floor after another to take in some pretty decent artwork. 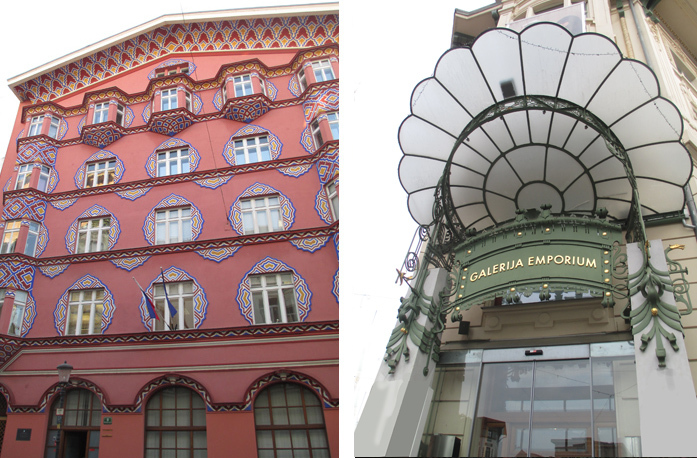 It was a joy to explore the city and admire its wonderful architecture. This is the National Library of Slovenia designed by a prolific Slovenian architect, joze Plecnik. 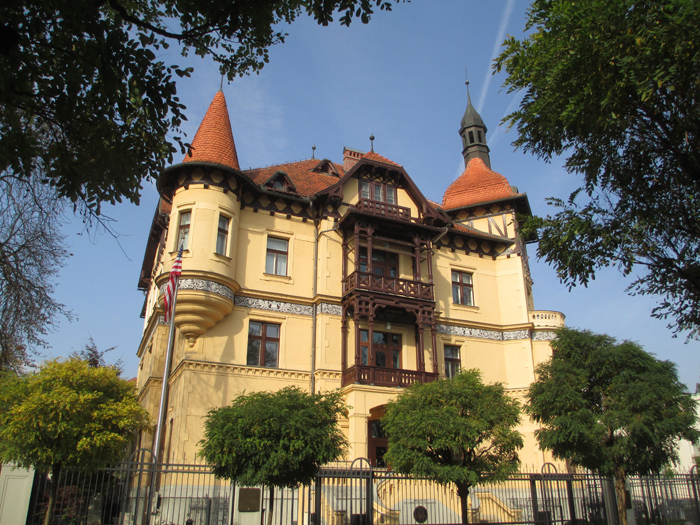 It was built between 1936 and 1941 and used some stone from a palace that had been located on the site but was destroyed by an earthquake in 1895. Plecnik also designed the building on the left below. 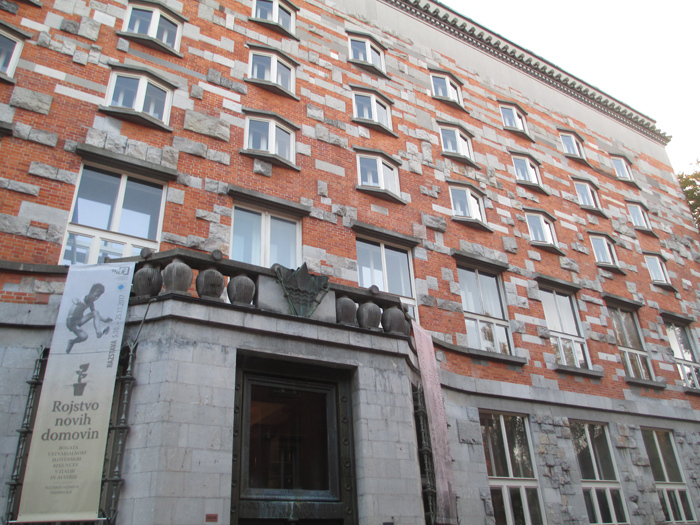 On the right is the entrance to an original Art Nouveau department. Below is the American Embassy. 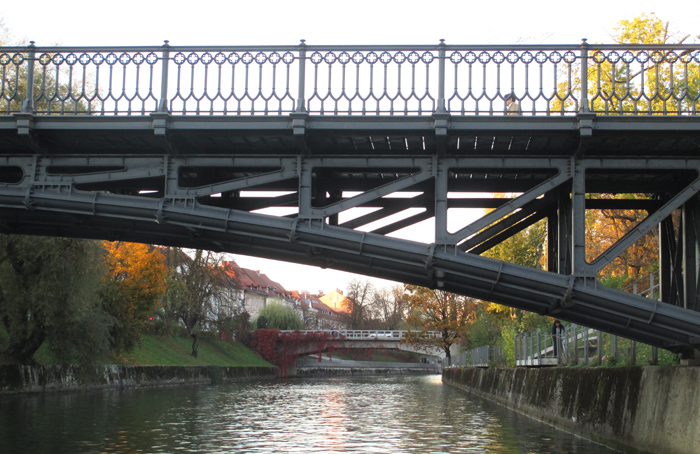 Week took an evening cruise on the river that runs through the city observing many of the bridges also designed by Plecnik. 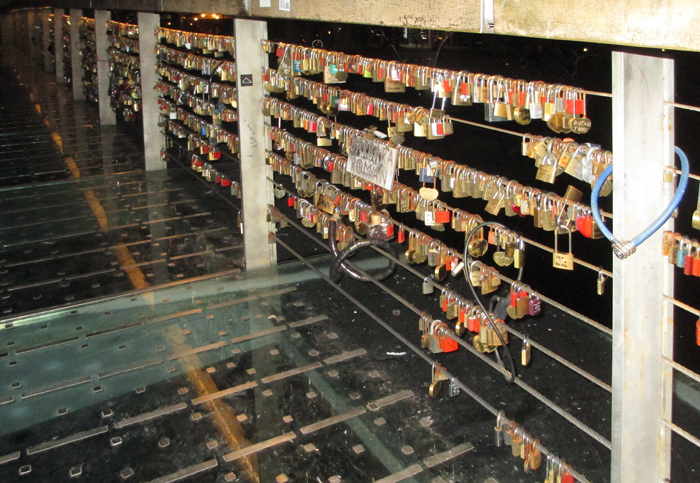 One of the bridges had lover locks. Notice that the floor of the bridge is glass. 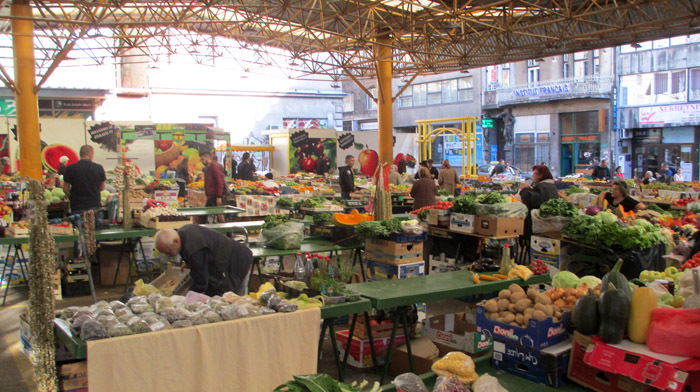 The city has busy, daily outdoor markets in the center within the pedestrian only zone. 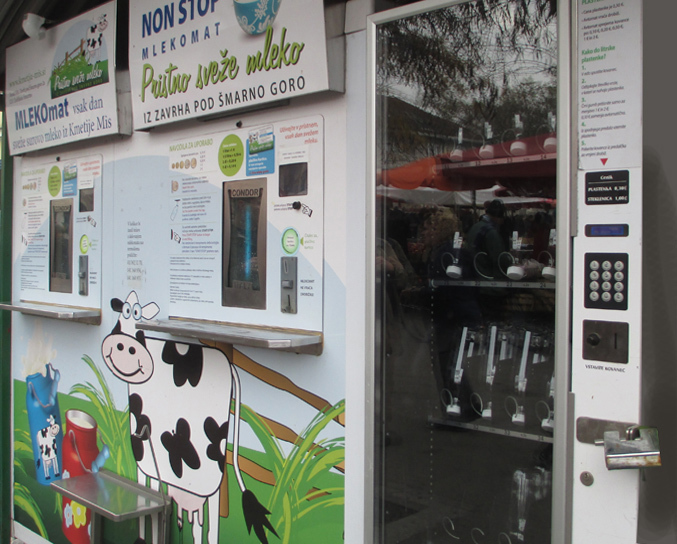 This is a machine that dispenses unpasteurized milk. 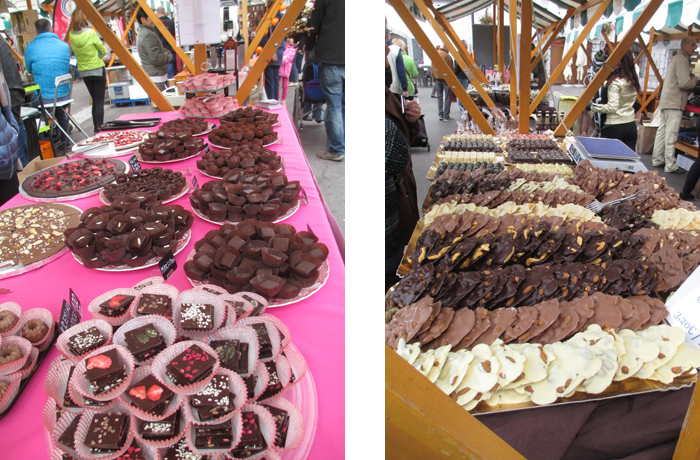 We visited one market that was completely devoted to chocolate! There were at least 40 vendors. I was so overwhelmed by so much chocolate that I couldn’t come close to making up my mind, so I didn’t buy any. Unfortunately, there were no free samples. 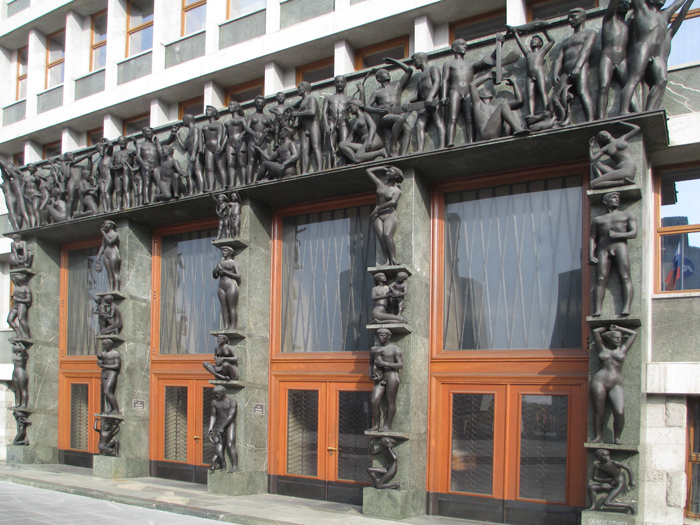 This building was the Slovenia Department of Labor. 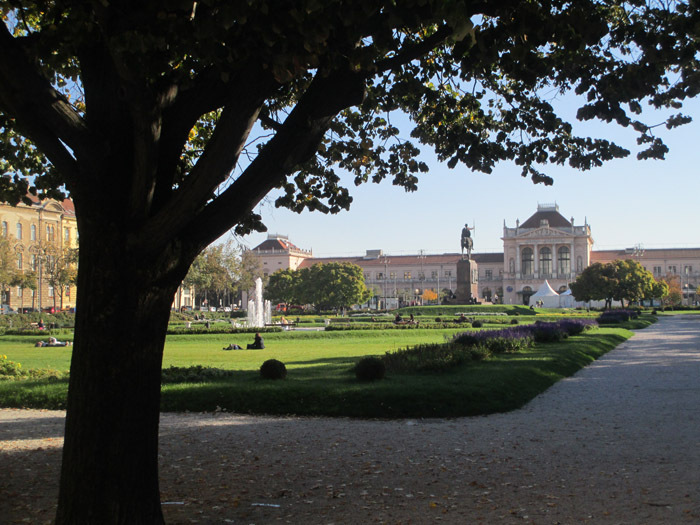 About five blocks from the center was a large, beautiful park. Charlotte and I visited two stately buildings that housed an art center and exhibition space. 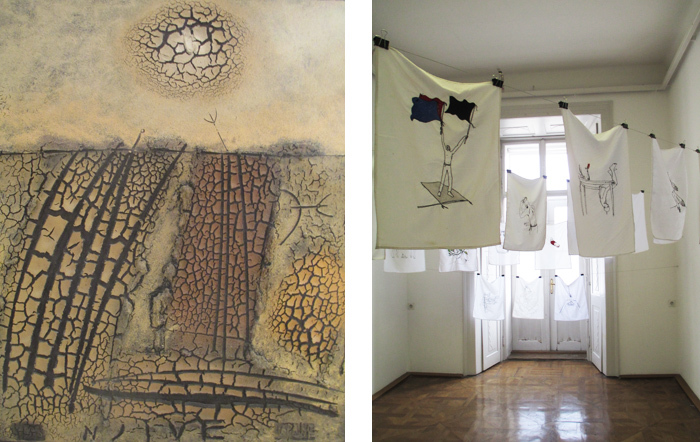 We also visited several galleries in the center that displayed contemporary art. Everywhere we ate on the tour, the food was great. More about the food and why I gained four pounds in two weeks in the next post! This entry was posted in Adriatic on November 9, 2017 by JWH. 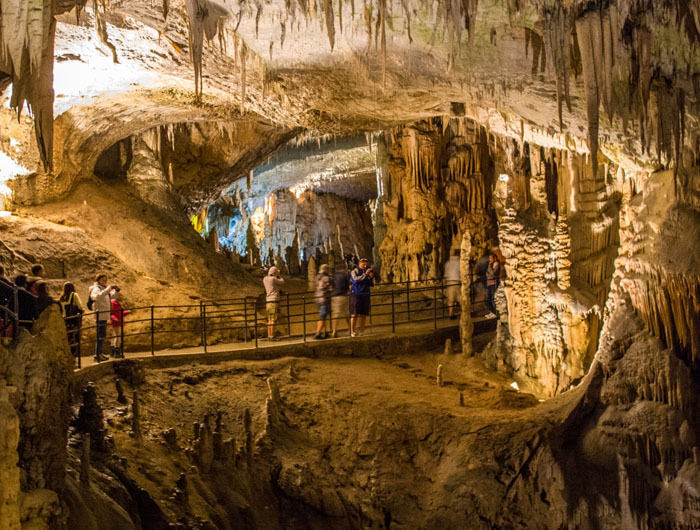 On our way to Ljubljana, the Capital of Slovenia, we stopped to explore the Postojna Cave. 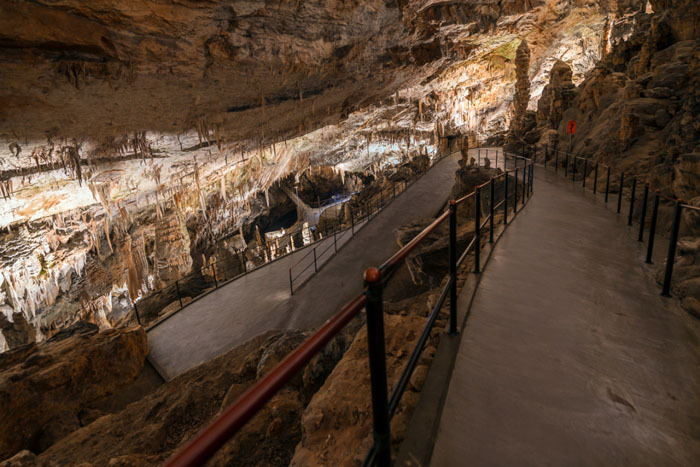 Formed by an underground river in karst stone million of years ago, the cave is 15 miles long of which 3 miles are open to the public. 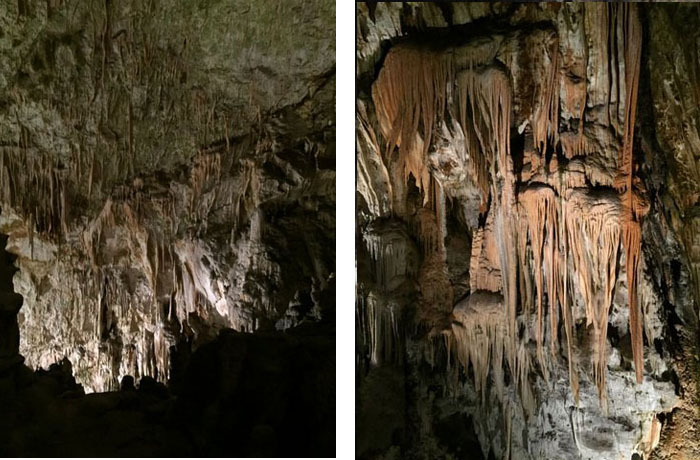 We ventured into the cave via a tram that took us 1.5 miles where we then experienced the incredible scale and beauty of our surroundings for an hour by foot. Some of the galleries were enormous! 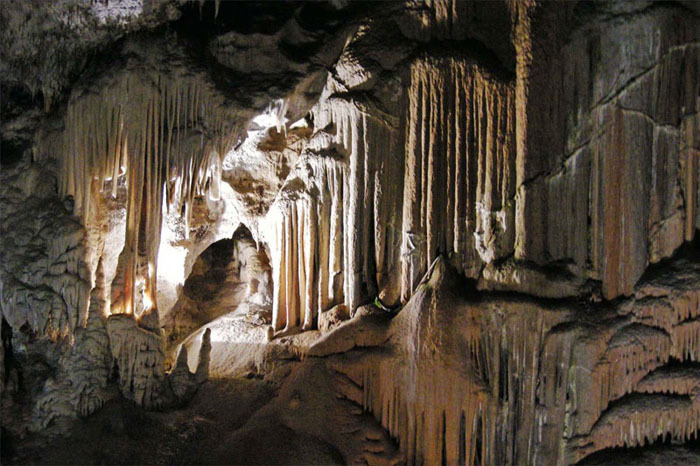 Not only were there stalagmites and stalactites, but also ripply curtains, fantastic columns, and other magical creations! 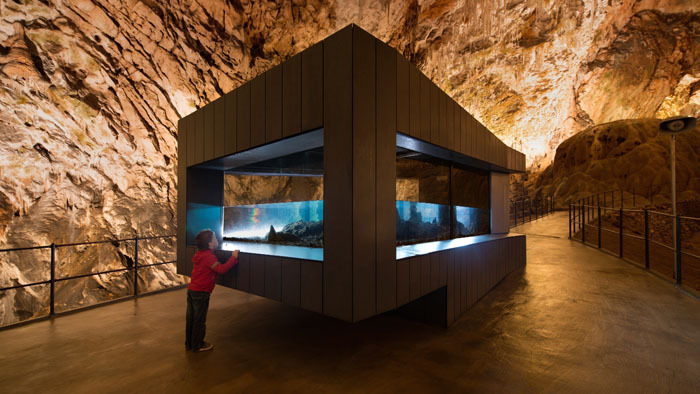 Postojna Cave is an UNESCO World Heritage Site that was first opened to tourists in 1819 when Archduke Ferdinand first visited it. Graffiti in the cave dates to 13th century. Most of these photos came from the internet since a wide angle camera can only properly capture the sense of space. 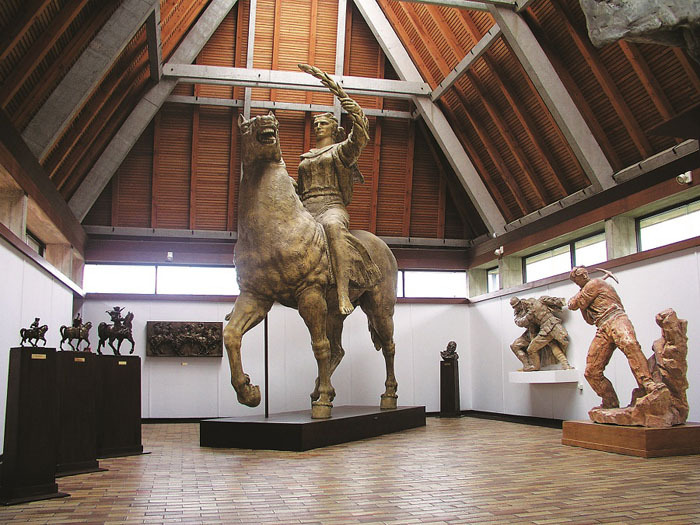 Some of the galleries are used for concerts attended by hundreds. 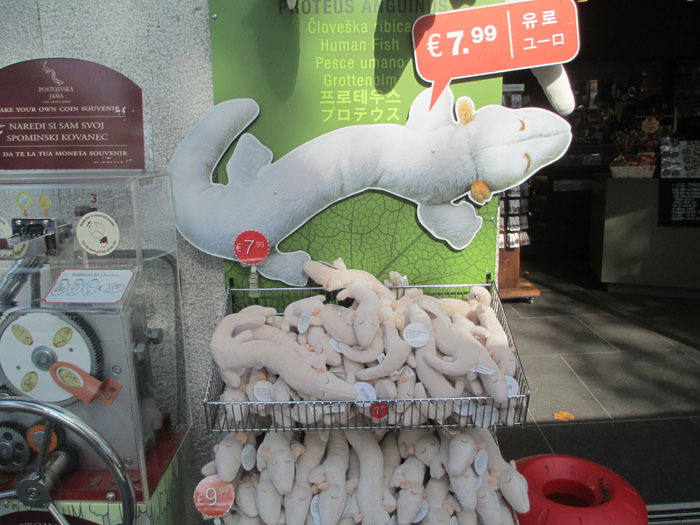 And for 7.99 Euros, you can have one of your own! 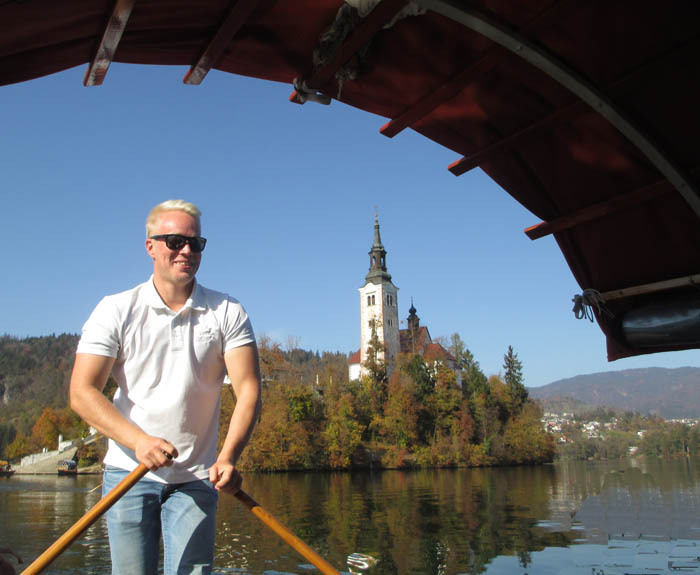 After we settled into Ljubljana, we went on an excursion to Lake Bled. 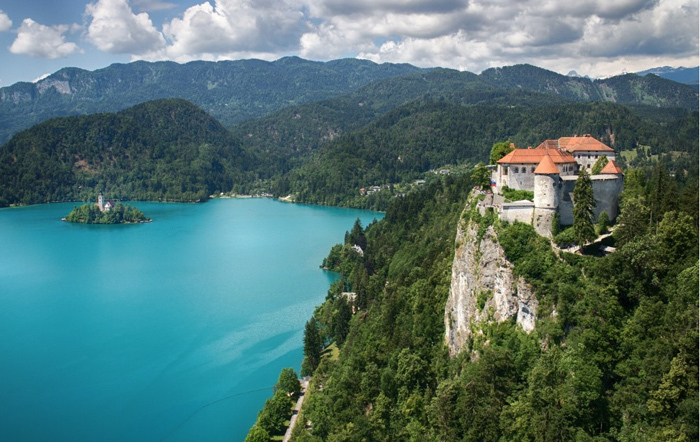 Below is an internet photo showing the medieval castle high on a rock over looking the lake and in the distance is a 17th church on an island. We visited the castle first. 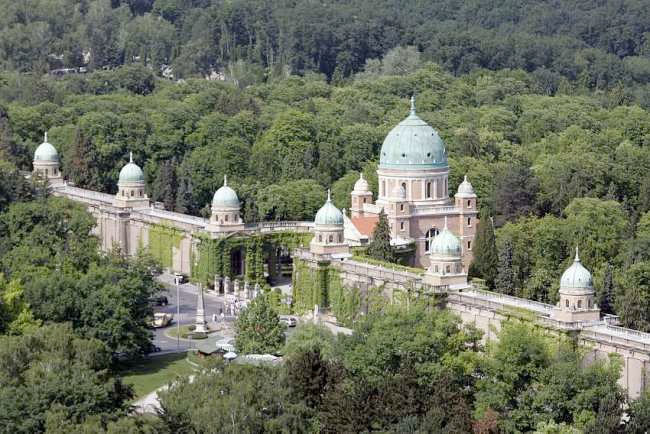 There are two outside terraces and this is the upper one with a chapel and a museum. 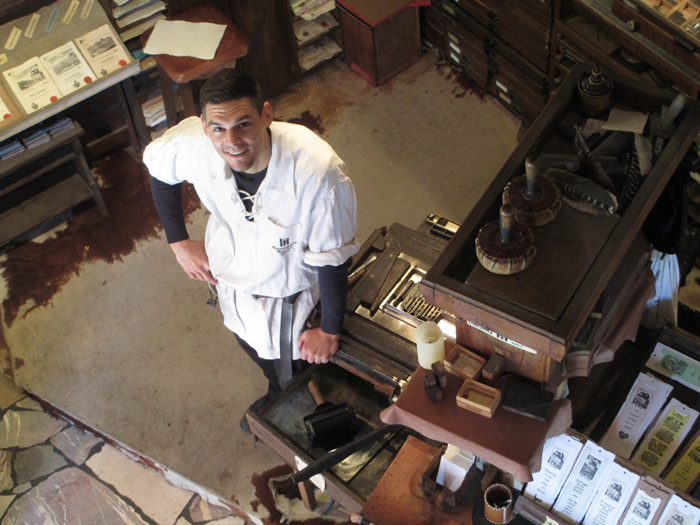 Also on site were a forge and a print shop. 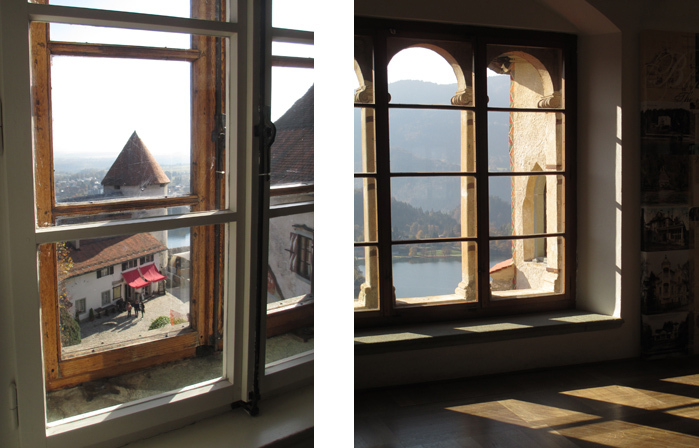 I became fascinated with the windows and views from them in the museum. To get to the church, we were rowed by this young man. 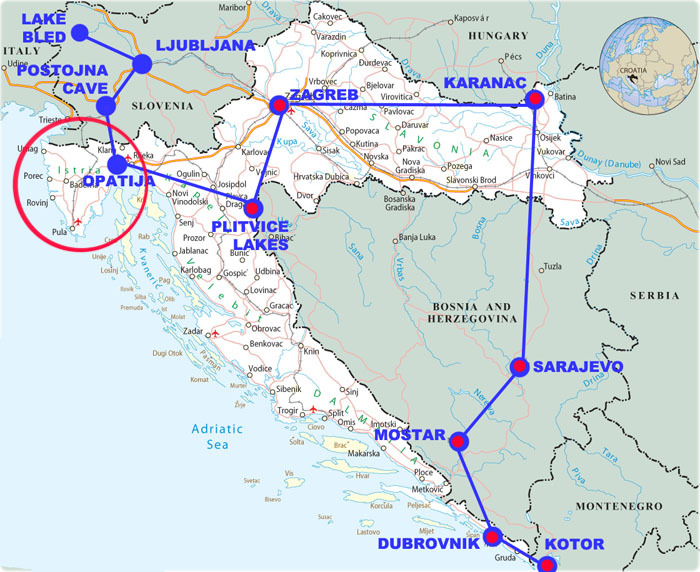 This entry was posted in Adriatic on November 7, 2017 by JWH. 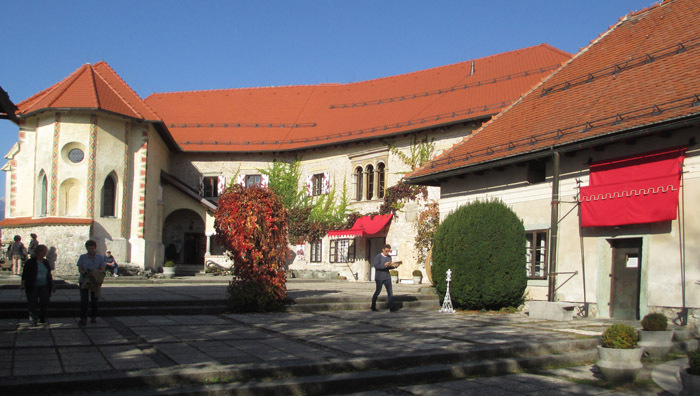 Zagorje is a region north of Zagreb where we first visited a museum dedicated to Antun Augustincic, a famous 20th century sculptor who created the Peace Monument at the UN in NYC. Augustincic is known for his large commemorate monuments. 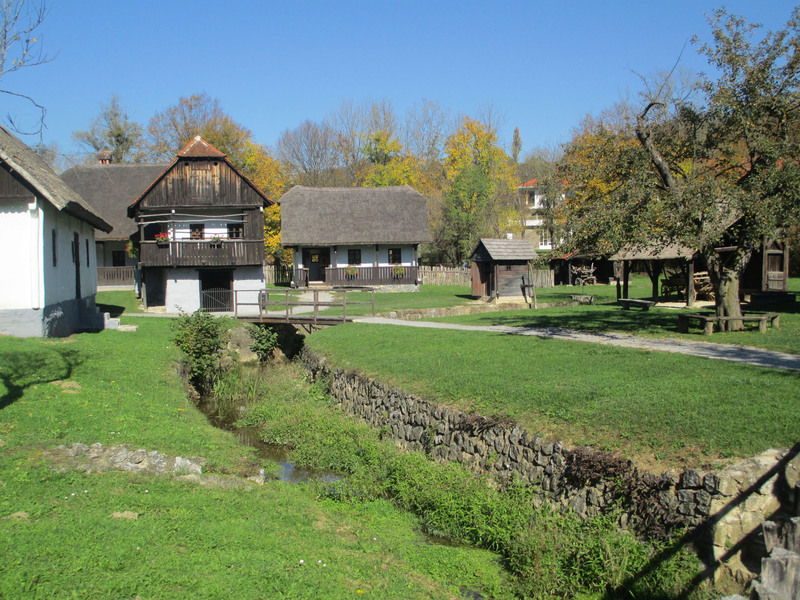 Close by was an open-air museum in the village of Kumrovec that included the house where Tito was born. 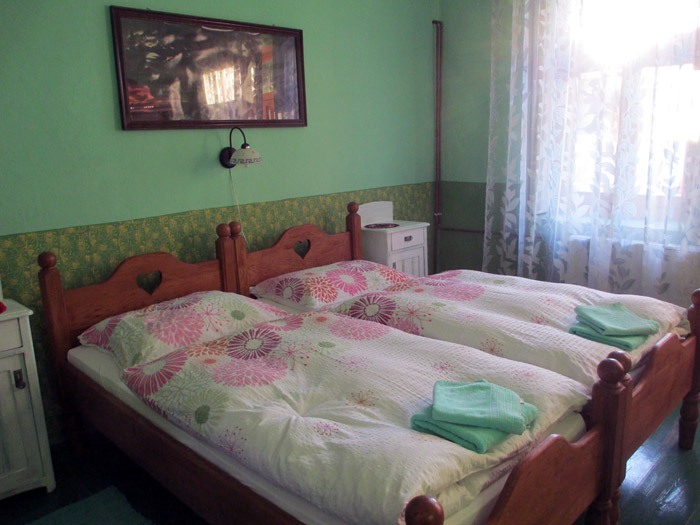 The buildings were carefully restored. The map shows where we were and how we traveled as the crow flies. 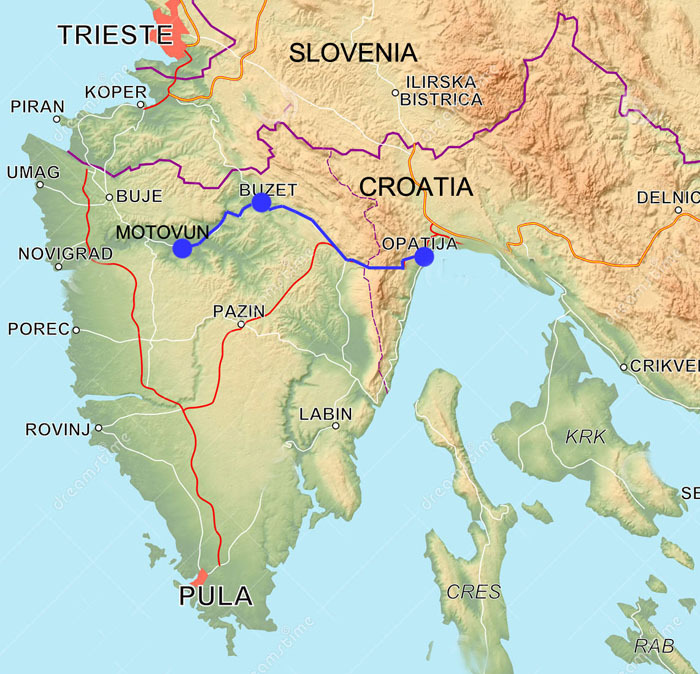 Next on the itinerary is the region of Isteria (red circle) where we stayed in Opatija, an old world luxury resort town popular with the Austrians dating back to the Austro-Hungarian period. 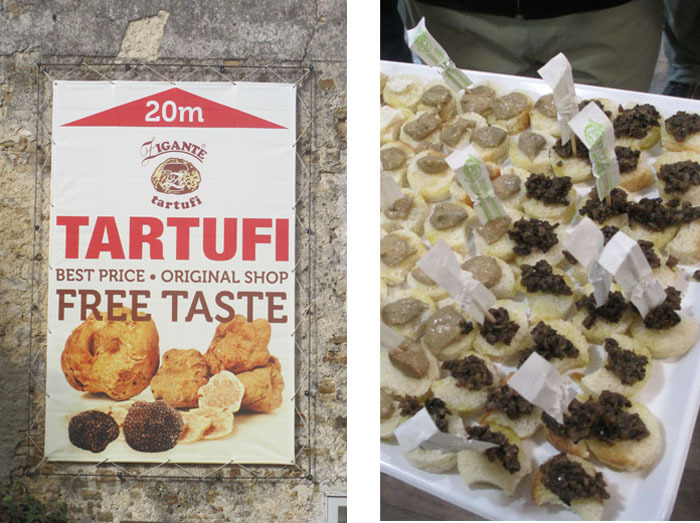 Its close proximity to Italy is also apparent in its stylish shops and restaurant menus. 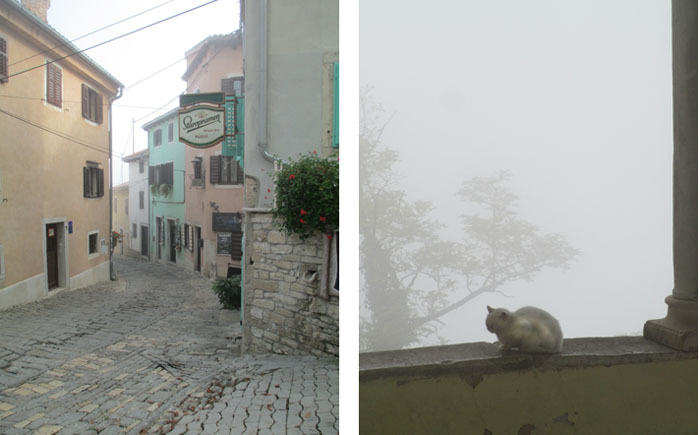 From Opatija we took a day trip to two of 136 medieval hill towns in the area, Motovun and Buzet. 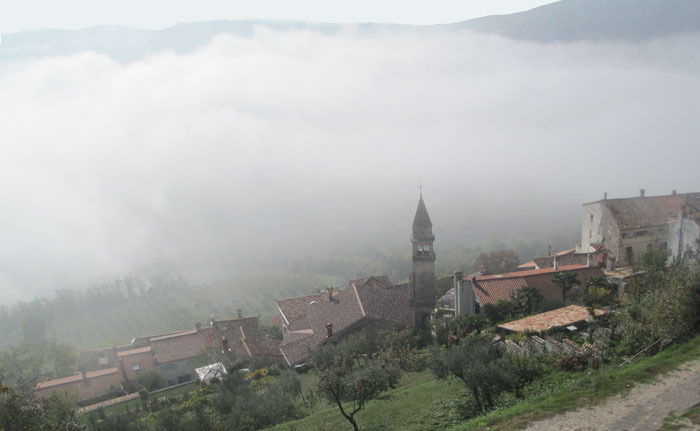 When we started out in the morning, we encountered fog (low clouds) but rose above them as we made our way to the hilltop towns. 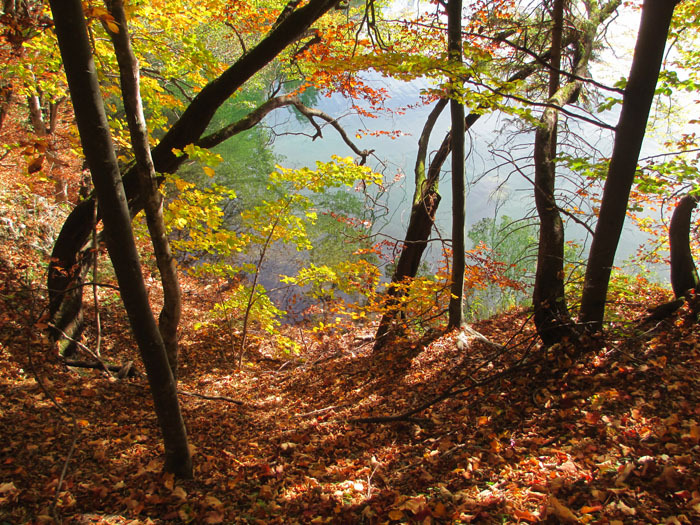 The fog lifted later in the day, but a haze remained. 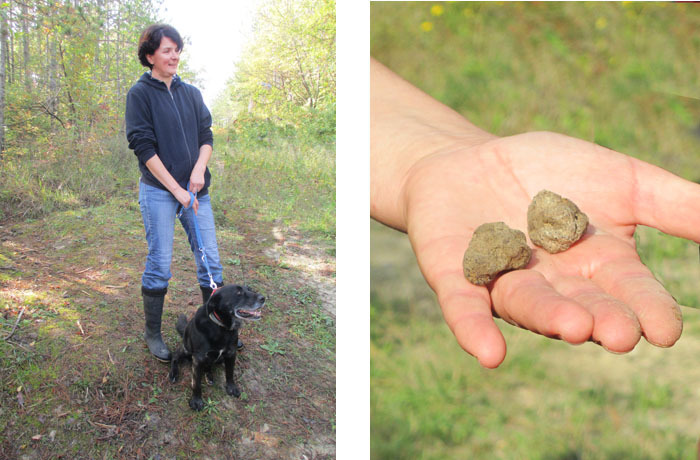 In Motovun we encountered TRUFFLES galore! It was my first taste and I liked them. 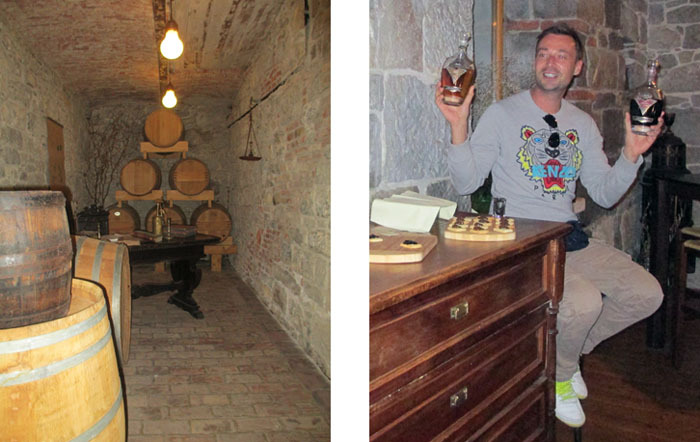 After lunch we visited a distillery in Buzet to learn about fruit brandies which are very popular in this part of Eastern Europe. 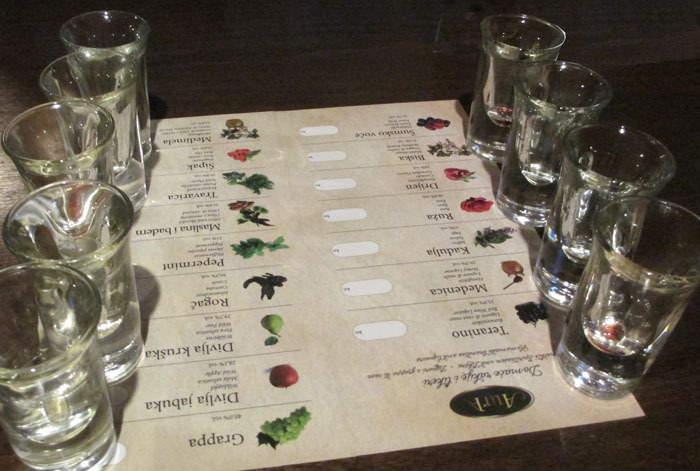 Many in our group took advantage of tasting many of the various flavors offered to them. Many in our group slept on the bus back to Opatija! 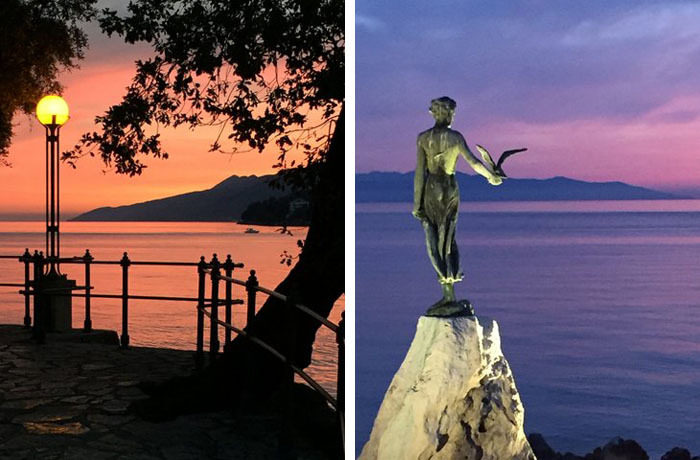 Here are Charlotte’s photos of sunset over the Adriatic in Opatija. 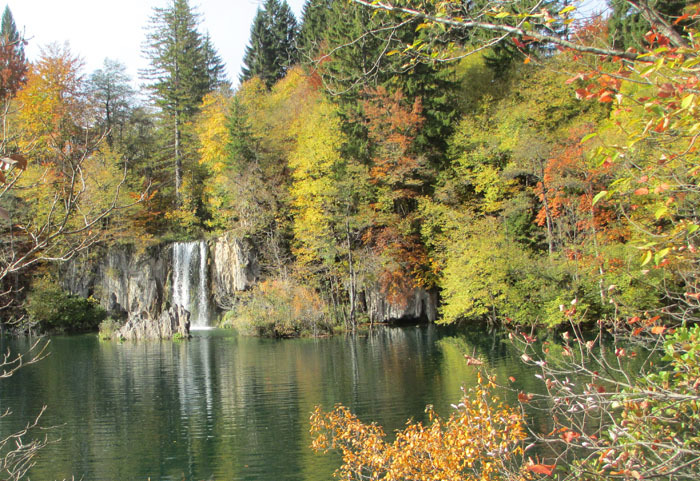 This entry was posted in Adriatic on November 6, 2017 by JWH. 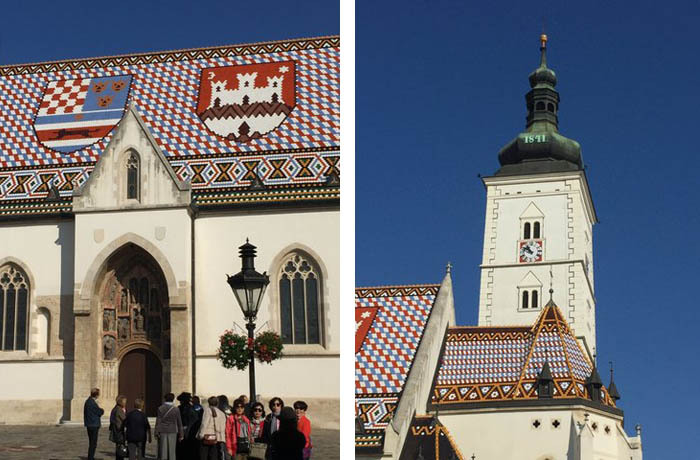 On the 10th day of our tour we toured Zagreb, the capital of Croatia. 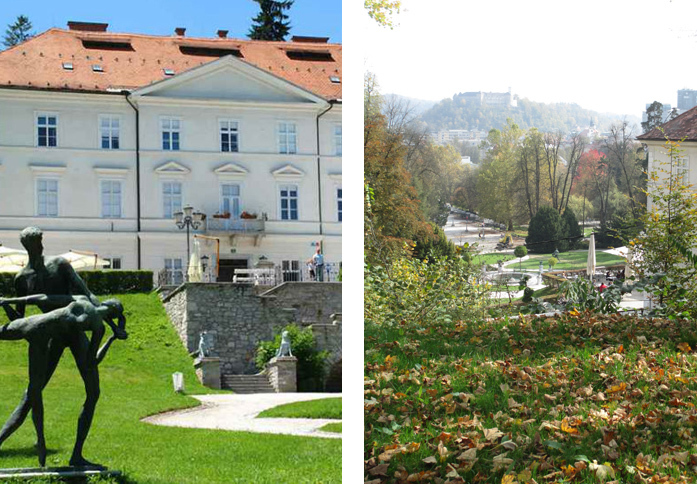 The city’s history goes back to medieval times when two rival communities on adjacent hilltops battled each other. 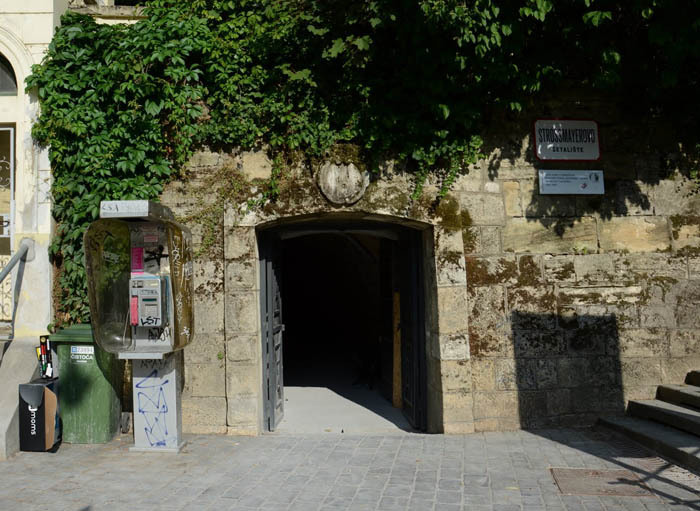 The area is now known as the Upper City and we visited it by way of the shortest funicular in Europe. We visited a cathedral, an open air market, and watched the “changing of the guard” ceremony where the soldiers were inspected but no guard was changed because they don’t station guards! It was a colorful event for tourists. 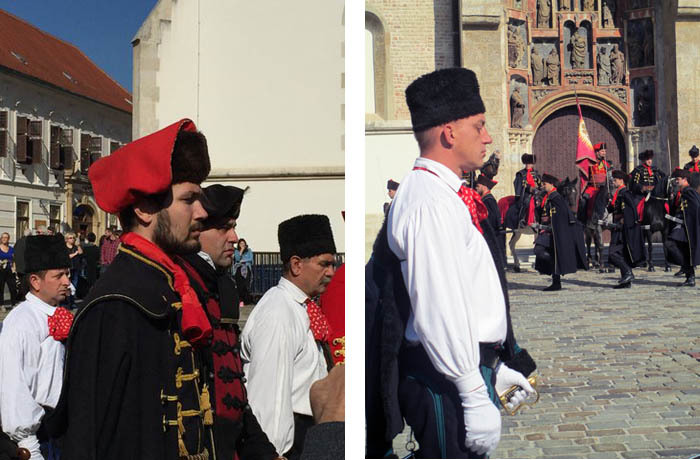 According to Croats, the red scarves worn by the soldiers inspired the contemporary necktie. Apparently the French were inspired by the Croatian uniform and created the cravat, which evolved into the habit of men wearing fabric around their necks. 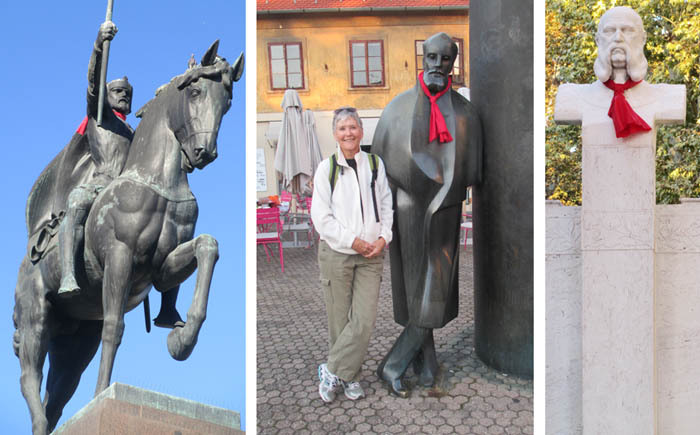 To celebrate the invention of the necktie, many of the statues in Zagreb exhibit red scarves! 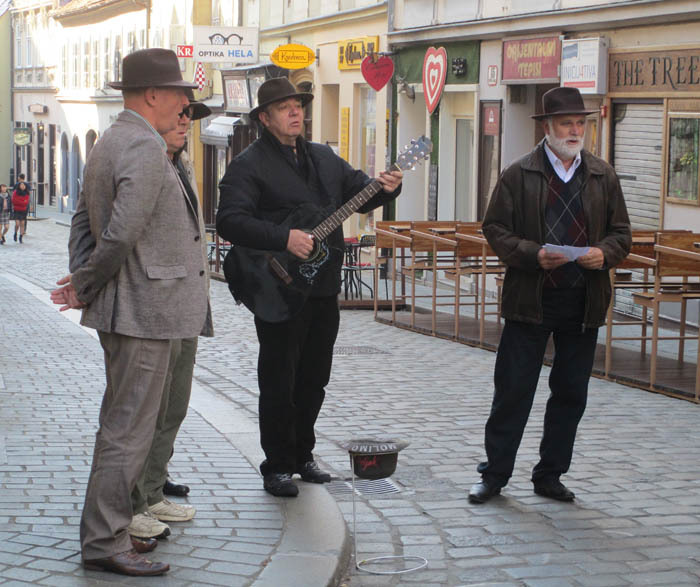 The Upper City had lots of charm including a quartet of vocalists. 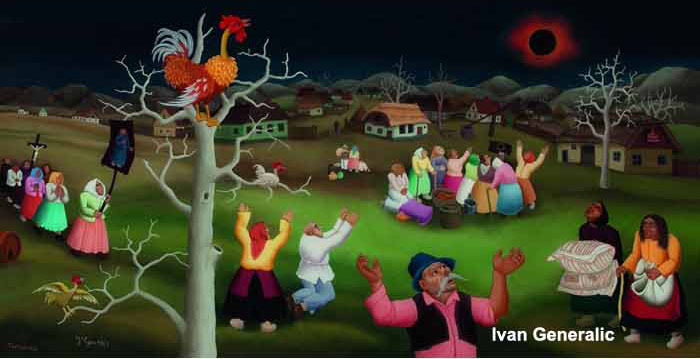 A highlight of our morning was visiting the Museum of Naive Art where a curator told us about some of the wonderful artwork done by untrained Slavic artists. We finished our tour of the Upper City by visiting a tunnel that was used during WWII as an air raid shelter. 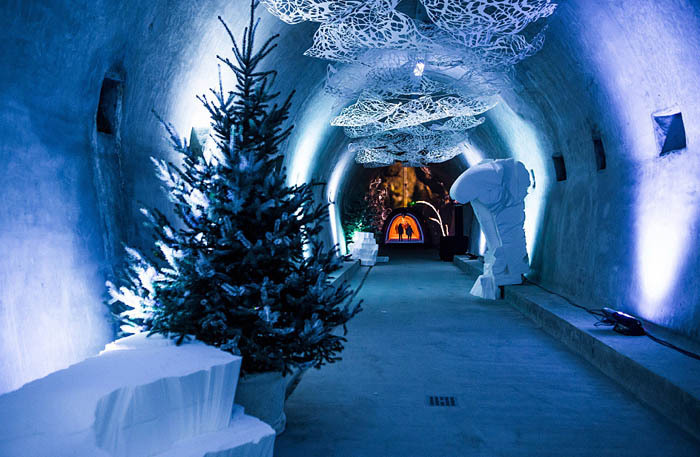 It is now used as a pedestrian passageway and recently became a site for displaying public art installations and information about the city. 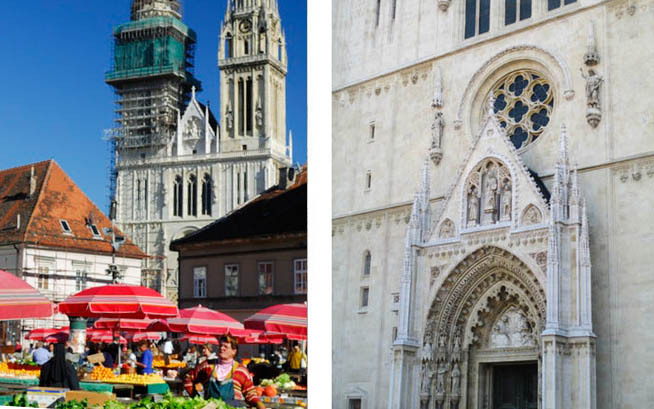 The original medieval city has expanded over the years and the Lower City exhibits magnificent buildings, parks, and wide streets constructed during the Austro-Hungarian period in the late 19th and early 20th centuries. 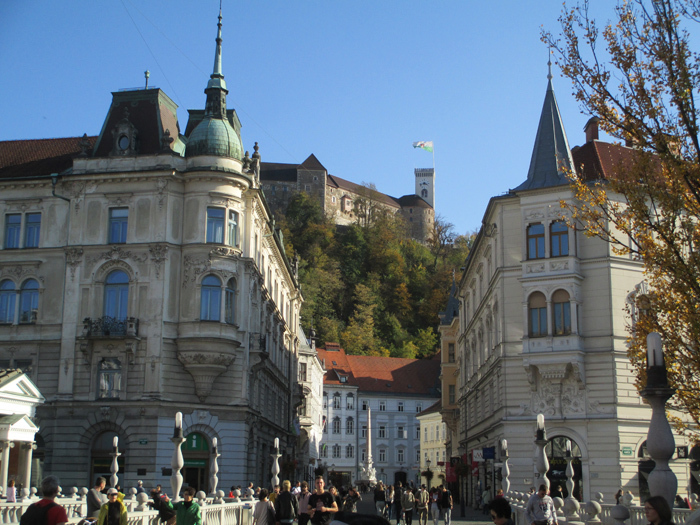 (The city is kept up much better than Sarajevo.) 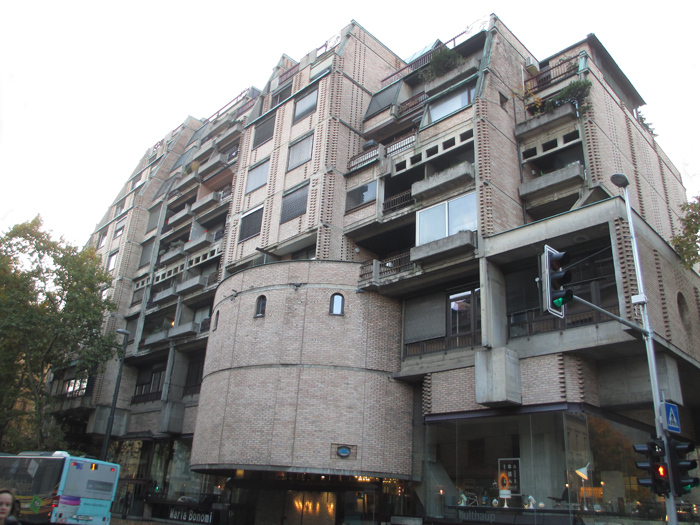 We also saw Communist area buildings as well as many contemporary buildings. The city felt modern and thriving. This is the train station. This is the National Theater. 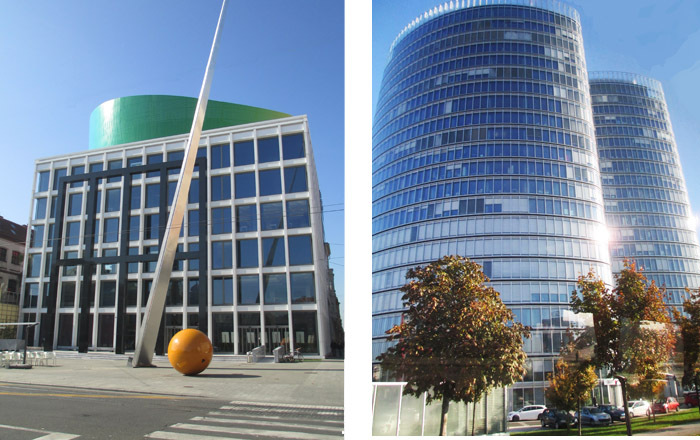 The Music Academy on the left and a modern office building on the right. 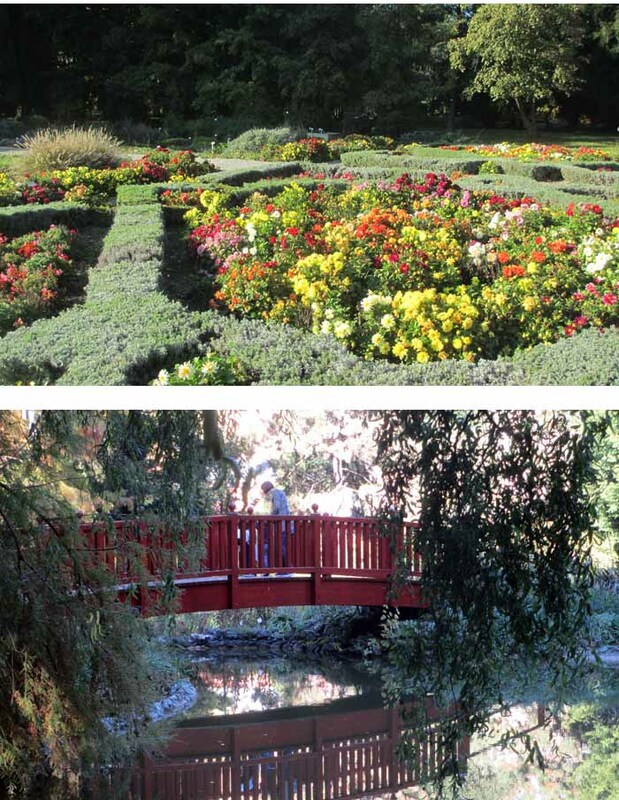 During our free time, Charlotte and I visited several museums of art and crafts and the botanical garden – all within walking distance of our hotel. This entry was posted in Adriatic on November 5, 2017 by JWH. 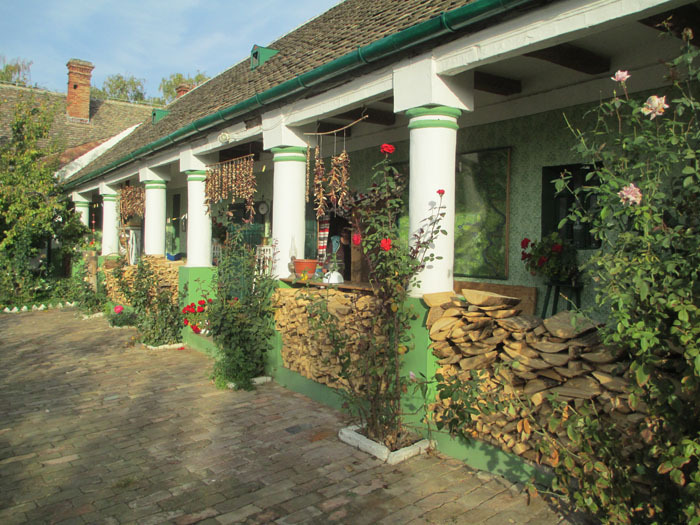 We spent a day and an overnight in Karanac, a village in Slavonia, a northern agricultural region of Croatia very close to the border with Hungary. 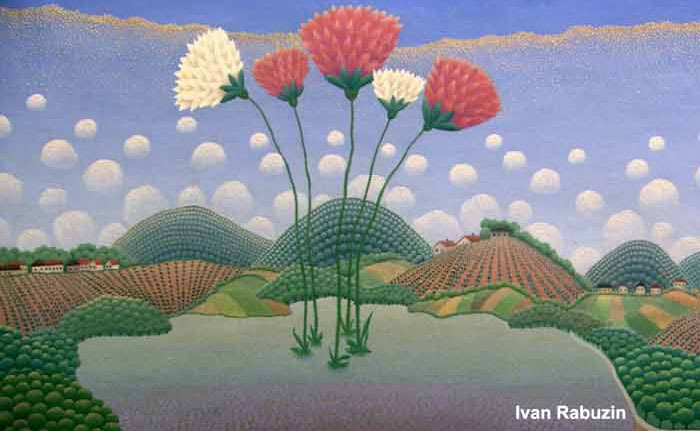 The countryside is fertile, flat farm land. Since joining the European Union, the farmers of this area now compete in a wider market and at high prices and, as a consequence, they are struggling. Many have been reduced to subsistence farming. 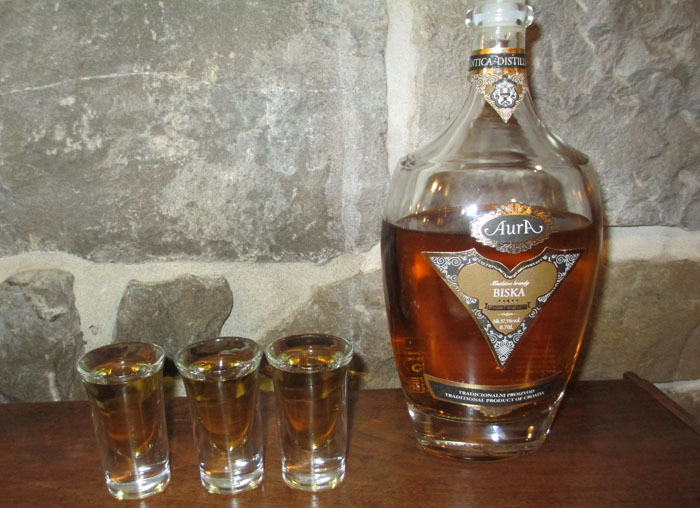 The village of Karanac is slowing becoming a center for aggro-tourism. 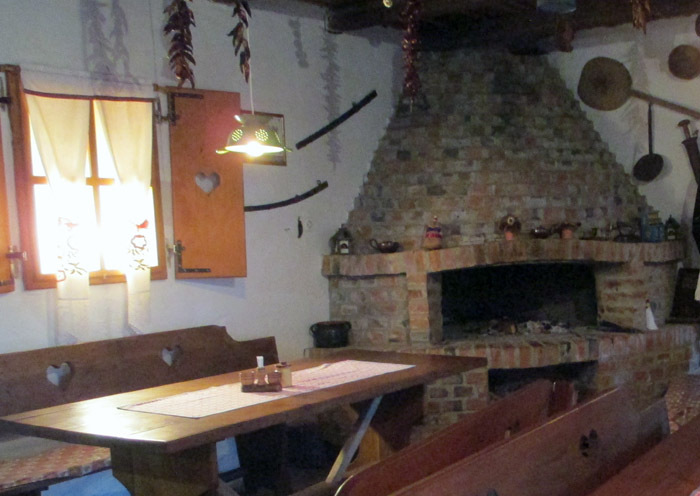 We stayed in traditional rural farmhouses and learned about local farm products. Our hosts were Goca and Dennis, a delightful couple. The properties in the village are long and narrow and extend back from the street with the houses made up of joined rooms one after another. 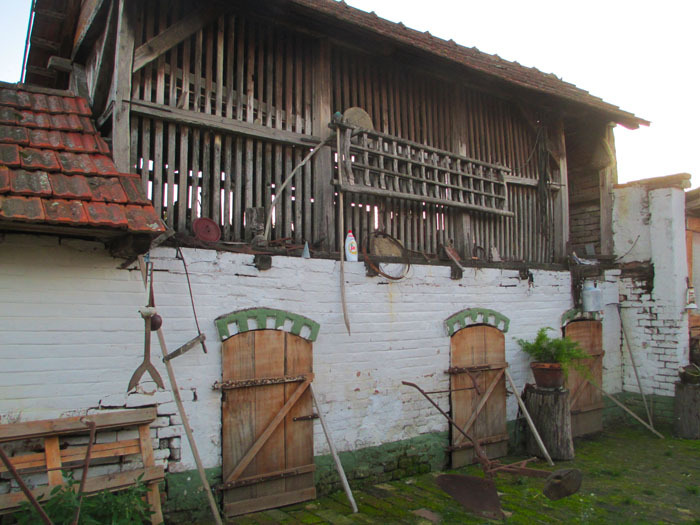 In the back of the property are the barns and sheds. The cultivated fields are outside of the village. 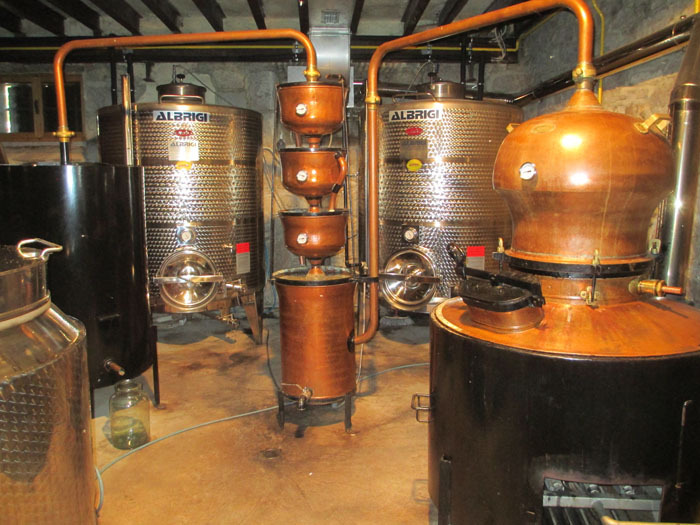 Dennis and Goca collected and displayed farm implements and traditional decor. 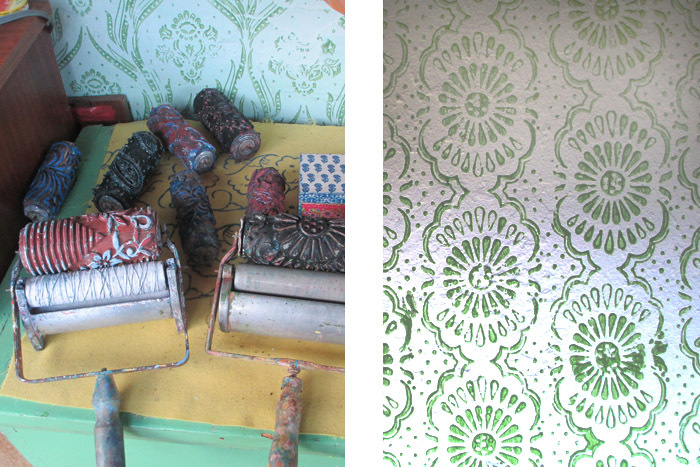 Goca had painted the walls with lively patterns using rollers with relief patterns. 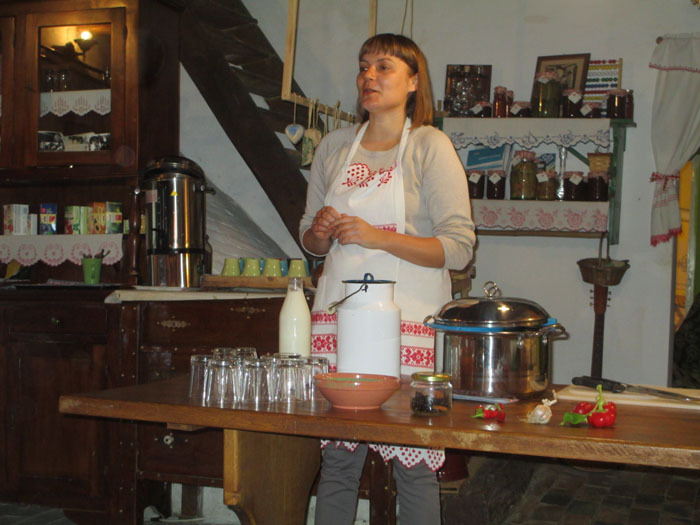 Goca also makes soaps and preserves to sell and a local woman, Lily, demonstrated how she made cheeses to sell in a local market. Some in our group helped chop dried fruits, vegetables, and herbs for three different cheeses that we then were served for breakfast. 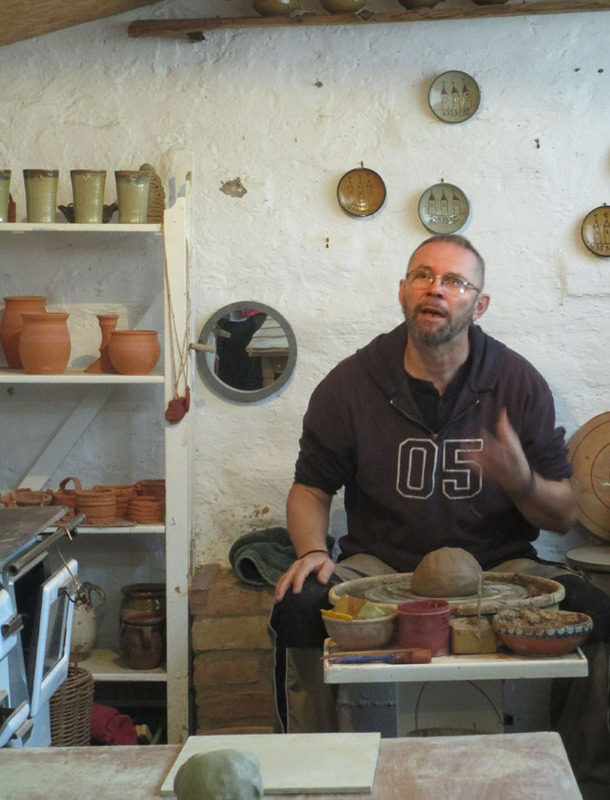 Daniel, a local potter demonstrated making vessels on a wheel and then judged our attempts at making coiled pots. I won (blue) and Charlotte (red) came in second! 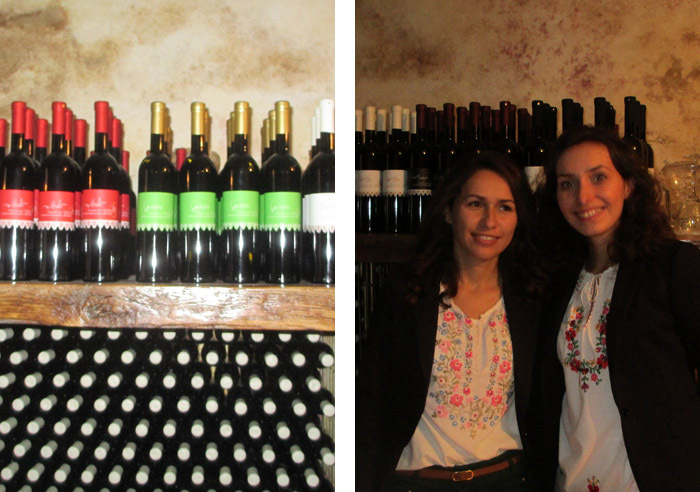 We also visited a local winery operated by two sister where we learned about local wine making. 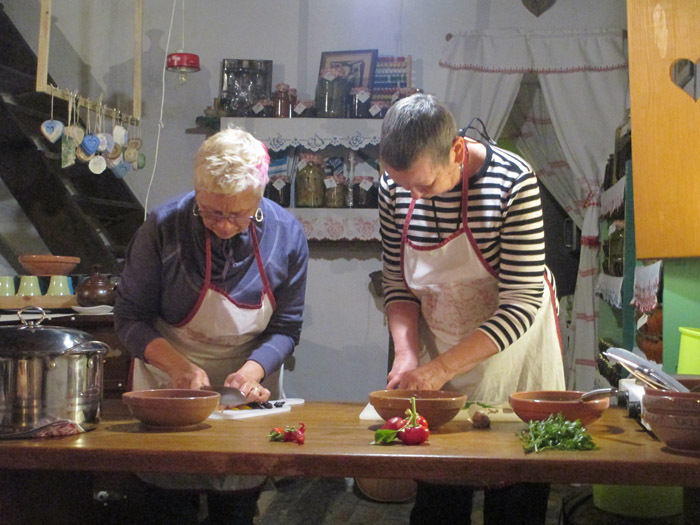 The sisters are wearing blouses with lovely Hungarian embroidery. I recognized it immediately because my mother took up the hobby after she retired and I have many examples of it on pillow cases. 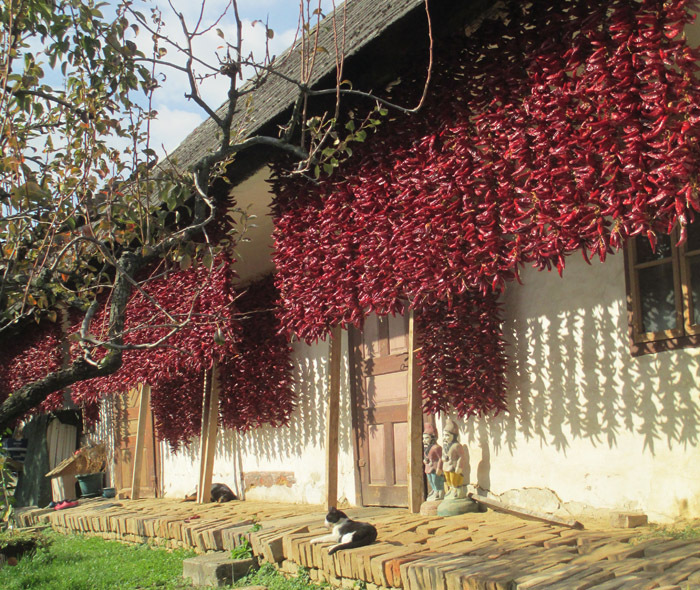 Peppers drying was a common site in the village. 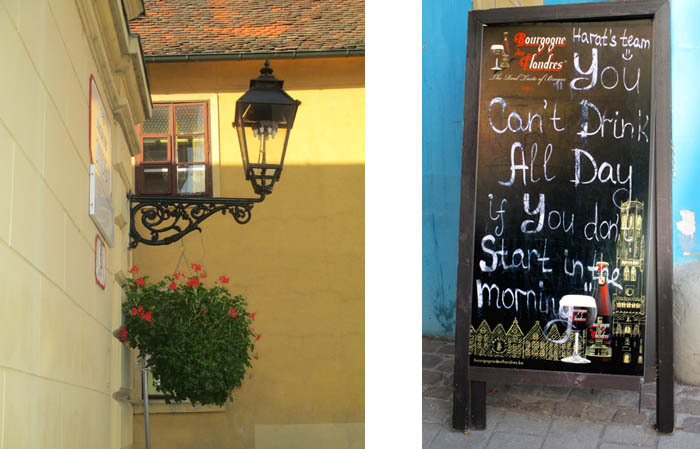 Next we visited Zagreb – next post. 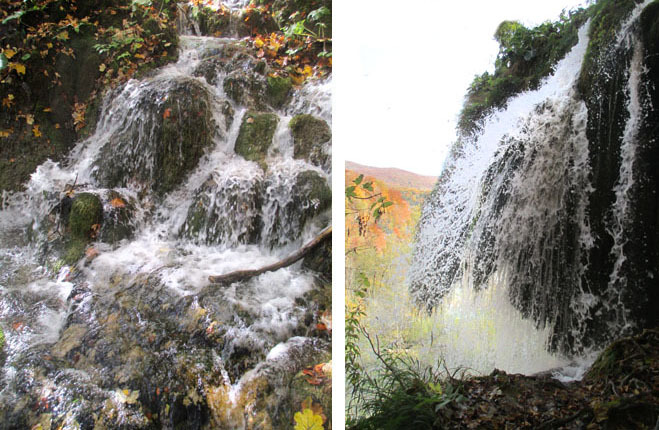 This entry was posted in Adriatic on November 4, 2017 by JWH. 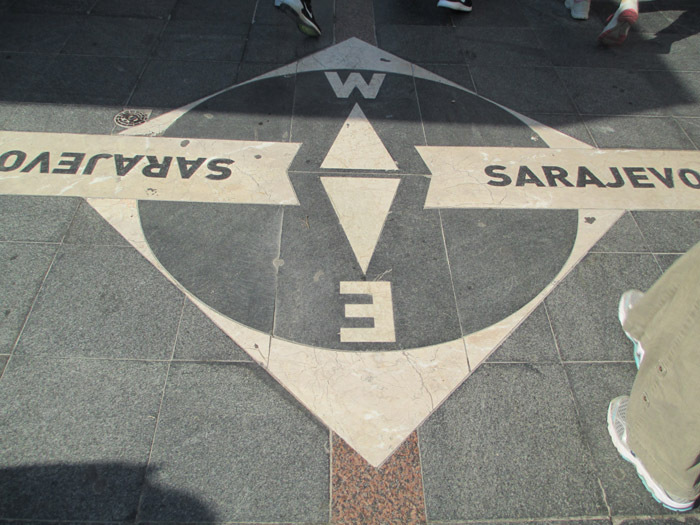 Sarajevo is a true meeting of the East and the West. 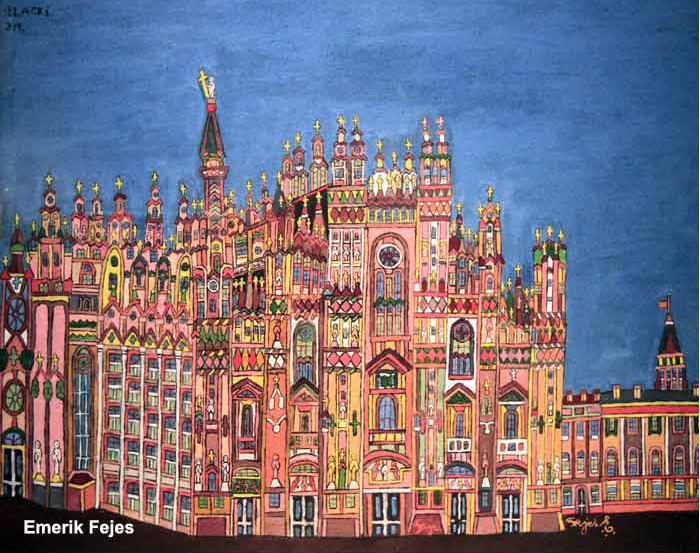 Founded by the Ottoman Turks in the 15th century, the city attracted people of diverse cultures and religions. 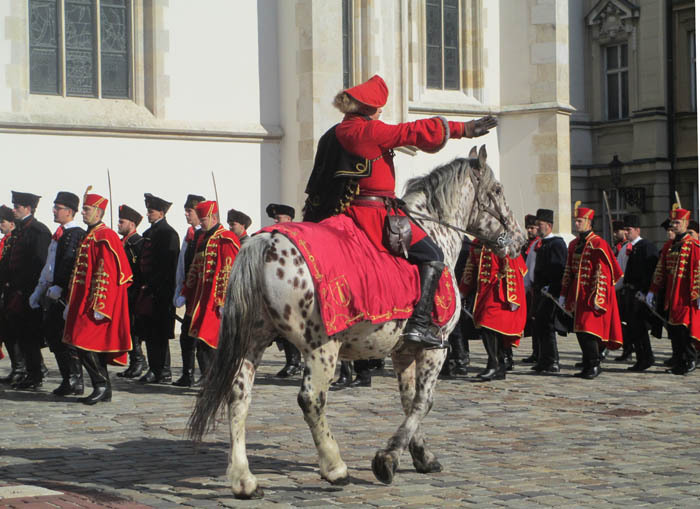 In the late 19th century it was under the rule of the Austro-Hungarian Empire. 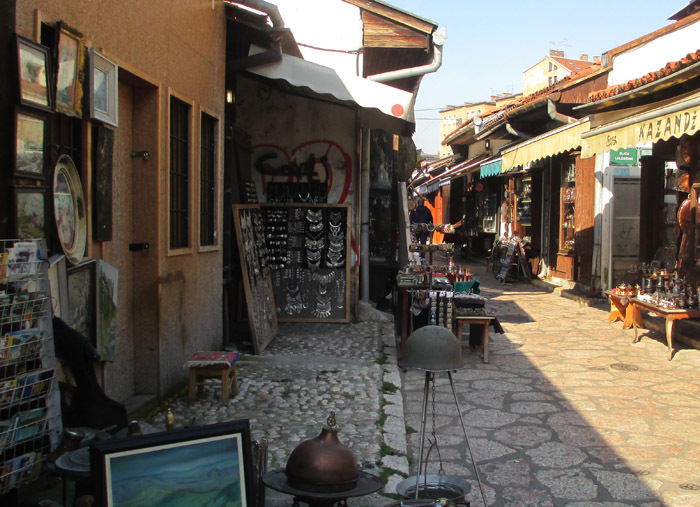 Both eastern and western cultures come together in the center of the city. Behind our hotel was a pedestrian shopping street. Painted on the street is this sign. 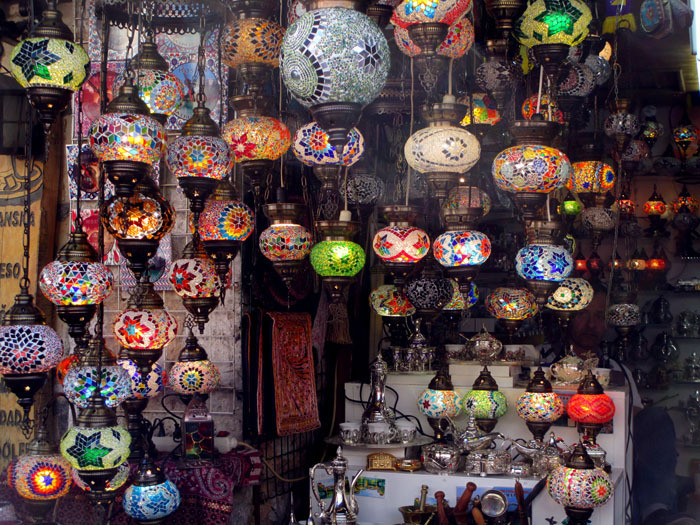 And from this point on, the street becomes an open-air Turkish bazaar. 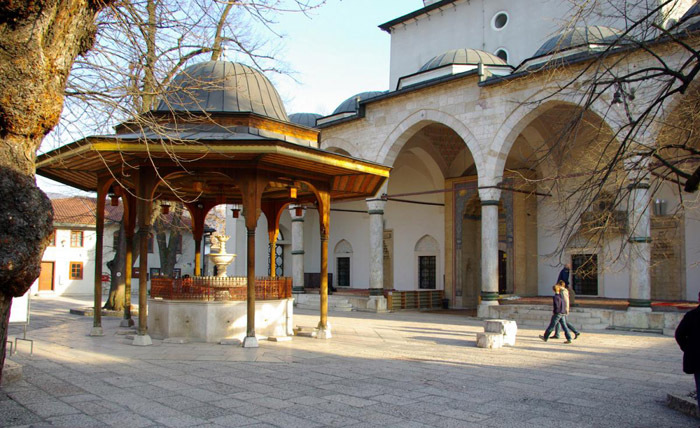 70% percent of the population of Sarajevo is Muslim and turrets are everywhere. 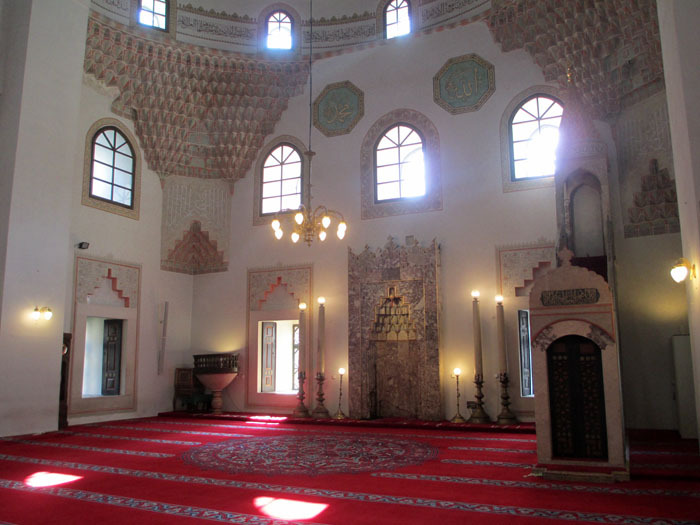 We visited a mosque known to be one of the most beautiful examples of Ottoman architecture in the Balkans. 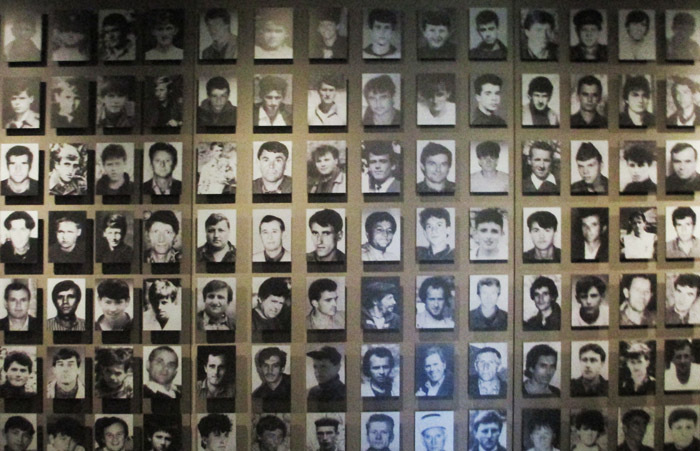 At a war museum in Sarajevo we learned about the Srebrenica Massacre/Genocide that took place in July 1995 when Serbian soldiers killed 8000 unarmed Muslim men and boys. When news of this atrocity went public, President Clinton stepped in to end the war. 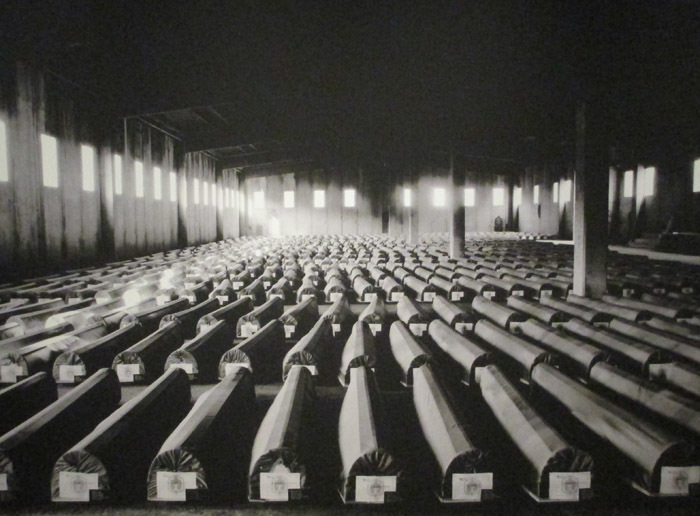 Because the town of Srebrenica was designated as a “safe city” by the UN, no one was allowed weapons. 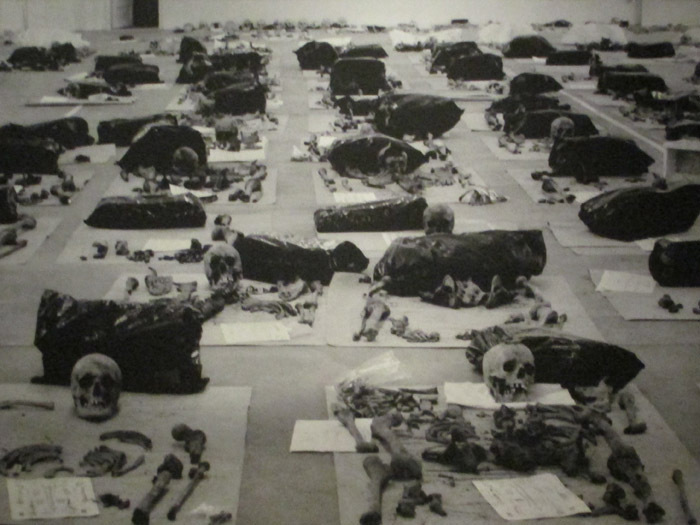 But the Bosnian Serbs put the women and children in concentration camps. When the men and boys who were left in the city learned that the soldiers might come after them, they tried to escape into the mountains but were chased down and executed by the solders. There were 8300 victims. The story is chilling. 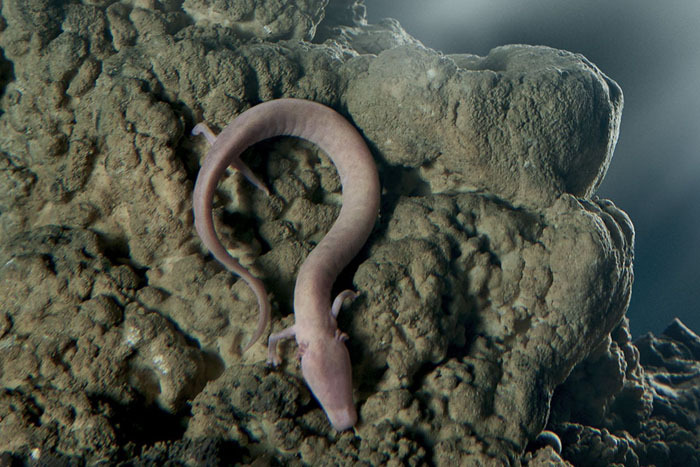 Remains of the dead are still being discovered in the mountains. 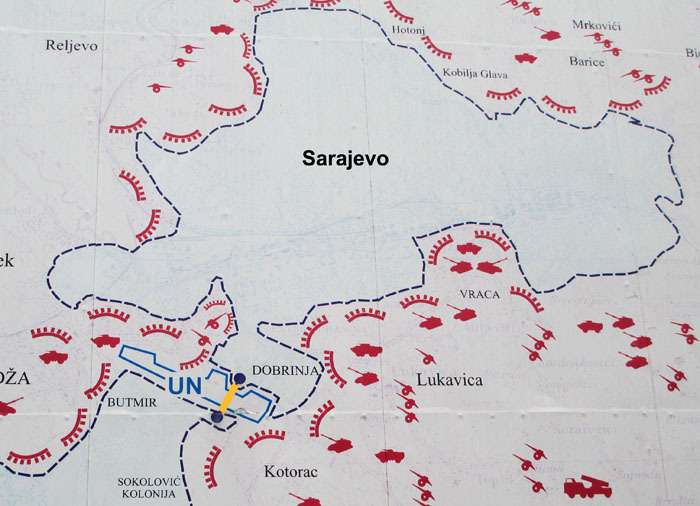 We learned more about the Bosnian-Serb War and specifically the 3.5 year siege of Sarajevo. 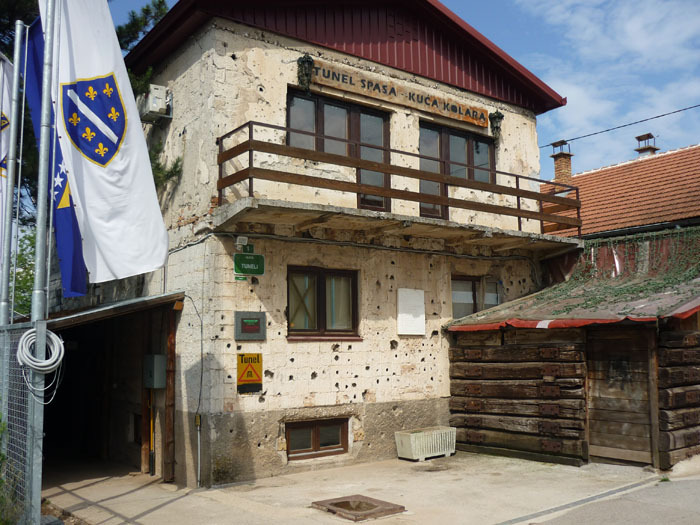 We saw buildings in Sarajevo pocked with bullet holes and a few buildings in ruins that were never rebuilt. By the conclusion of the war, 80% of the buildings were uninhabitable. We also learned how dangerous it was for people in the city to get by during the years of the siege. 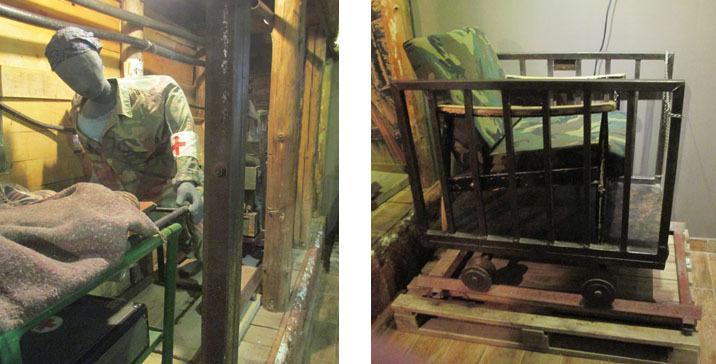 Only a small area near the airport provided a way out, but only through the underground tunnel, The Tunnel of Hope. The map shows how the city was surrounded and was being fired on daily. As people tried to carry on with their daily lives, they were fired upon. They lived day to day, hour to hour. The only access to the city was at the airport, but that was under the control of the UN and was neutral. 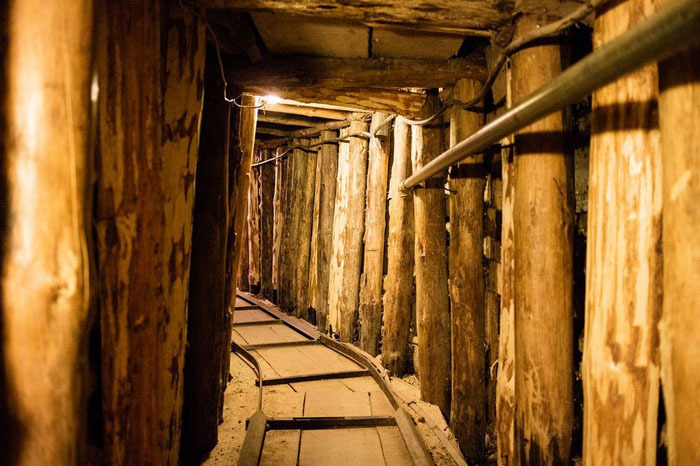 In 1993 the Bosnian soldiers dug a tunnel under the airport with shovels and pick axes and removed 1200 cubric metres of soil with wheel barrels. The men worked 24 hours a day in 8 hour shifts between March and June. 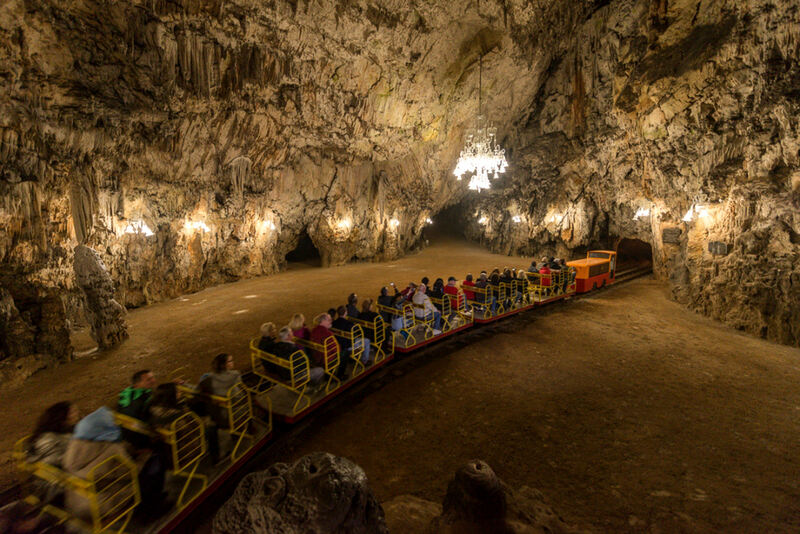 Tracks were laid so that carts could easily move through the tunnel and pipes were installed to provide Sarajevo with oil, electricity, and telephone lines. 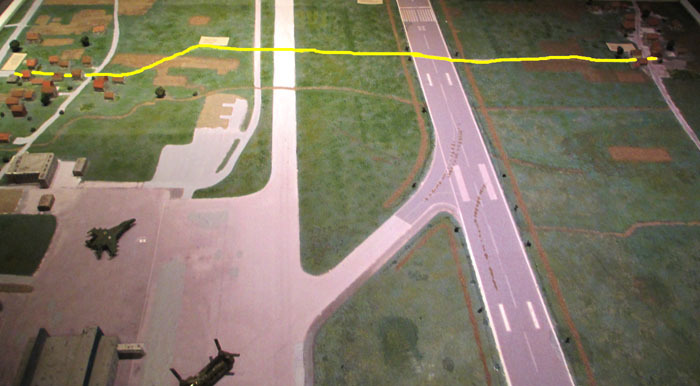 The yellow line is the tunnel. This is the house that was donated by a family outside of the airport. 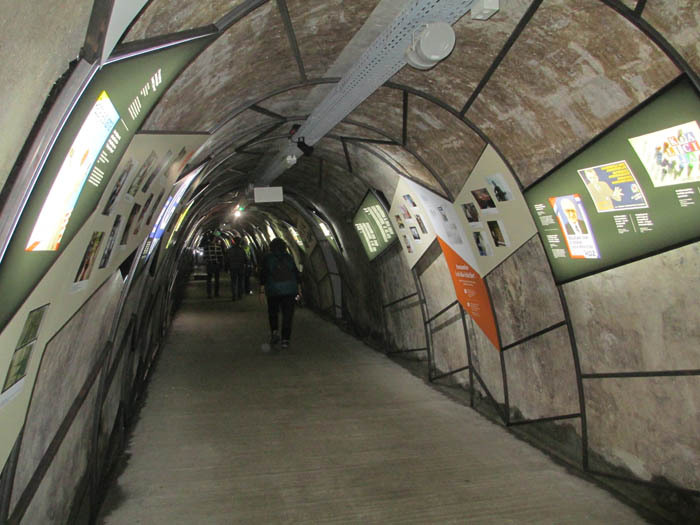 It is now a small museum where visitors can see the tunnel. We walked through a short bit of the tunnel. It was low and narrow! Carts were used to take out the injured and to bring in food and medical supplies in to the city. 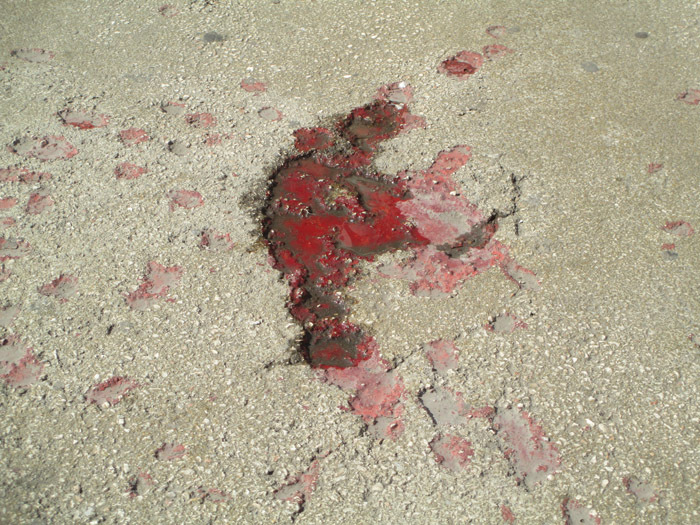 On several occasions I saw splashes of red paint on the ground. These are memorials for people who lost their lives on those spots. They are known as the Sarajevo Roses. 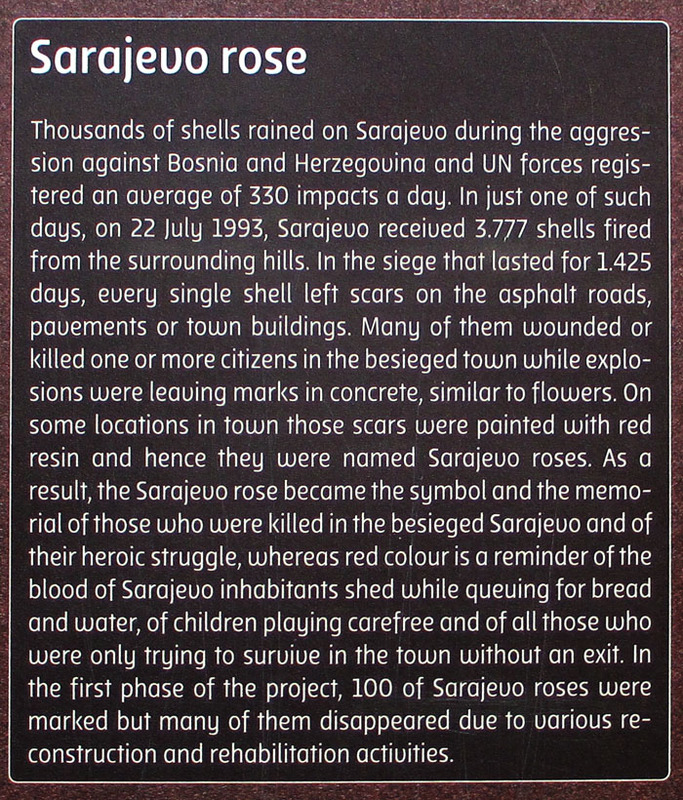 There were 100 roses painted around the city, but of course that was only symbolic because thousands lost their lives. 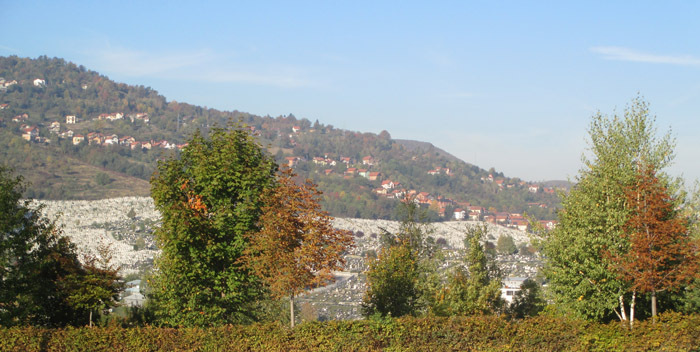 As we departed Sarajevo we passed this huge cemetery, just one in the city as a result of the recent war. The white head stones are Muslim graves and the darker ones are primarily Catholics. The trees hide the size of the cemetery. 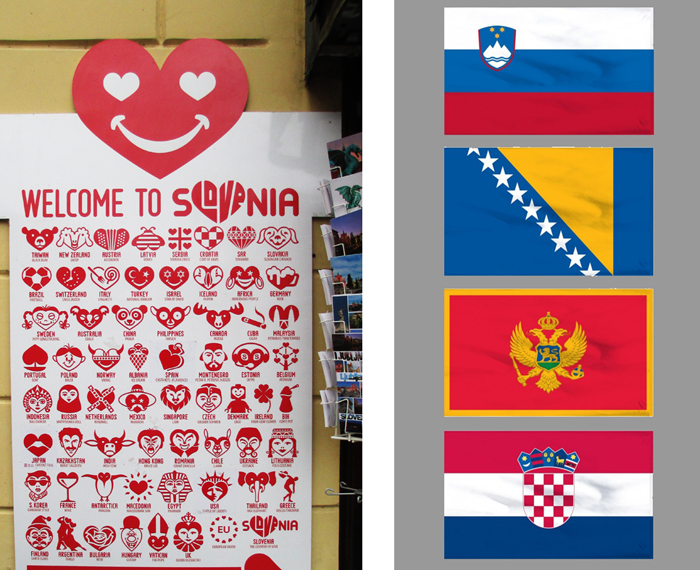 As a result of the Dayton Agreement which ended the war, the country now consists of the federations of Bosnia and Herzegovina and the Republic of Srpska. Each area has its own President and decisions for the country are made by these leaders, but only if they all agree. You can imagine the problems this has caused because of the rivalries – nothing gets down. This is a sad situation that needs a solution.